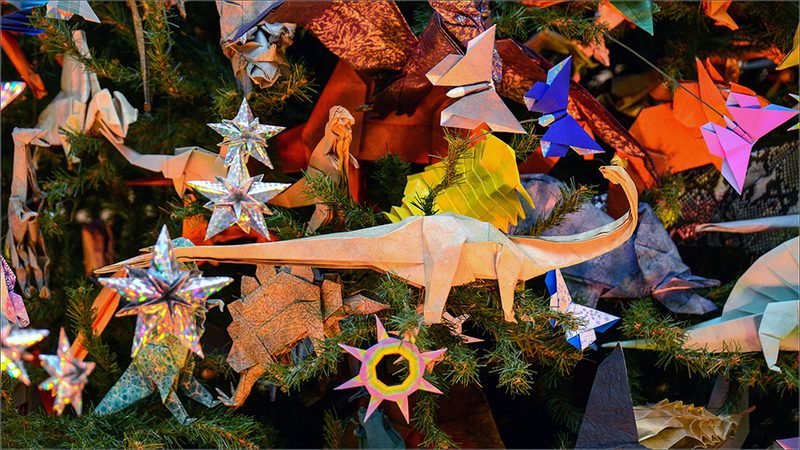 Oh baby it’s cold outside ~ but there are a lot of installations, exhibits and events to warm your heart, with the first part of our list devoted to some suggestions for the Holiday Season. 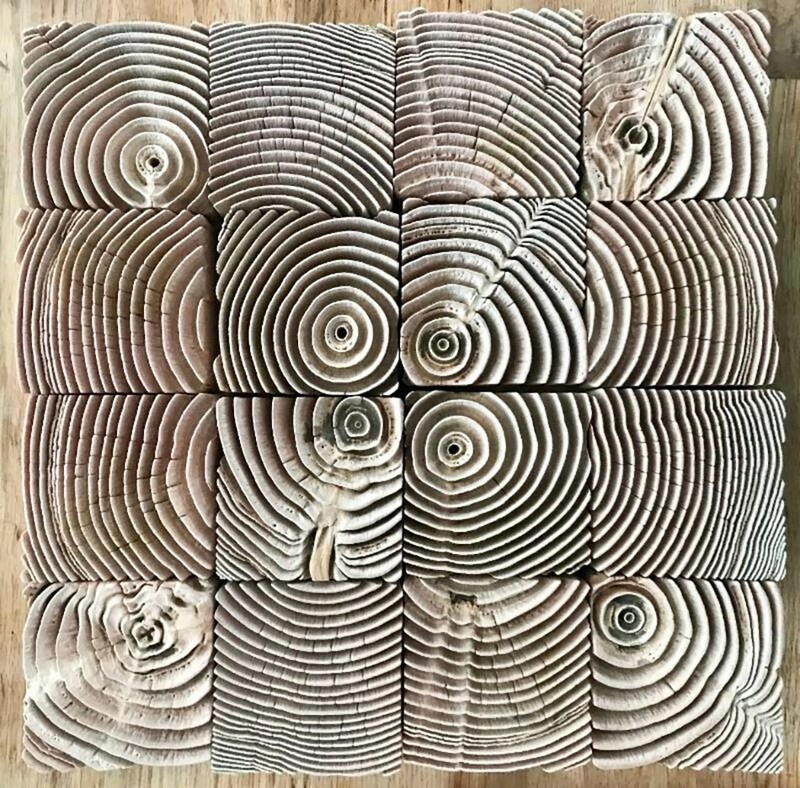 Here are 62 installations, exhibits and events for the month of December, 2018 to add to your list, including current installations, some of which will be on view through October, 2019. Holiday Windows, Kwanza, Menorah lighting Dec 2-10 Brooklyn Grand Army Plaza , Menorah Lighting at Garibaldi Plaza in Washington Square Park; Menorah Lighting in Grand Army Plaza, 59th Street, Manhattan; Tree Lighting(s): Nov 28, Rockefeller Center; Nov 29, Central Park in Harlem; Nov 29, New York Stock Exchange; Dec 4, Bryant Park; Dec 5, Washington Square Park; Dec 6, Madison Square Park; November 19, American Museum of Natural History’s Origami Holiday Tree; and a host of Holiday Markets ~ Columbus Circle, Grand Central Terminal, Union Square; December 8, 116th Street Holiday Bazaar in East Harlem; Astoria Holiday Market; Renegade Holiday Craft Fair Popup; Winterfest at the Brooklyn Museum; Artists and Fleas; Bronx Museum Artisan Market; Harlem Makers Collective at Gallery 8 Harlem; Holiday Popup Market at La Marqueta East Harlem; Kwanzaa Celebration, Passover Celebration, Ornament Making + Santa & The City all at The Museum of the City of New York and a special Kwanzaa celebration at the famed Apollo Theater + many more events. We will keep adding listings as we receive them. 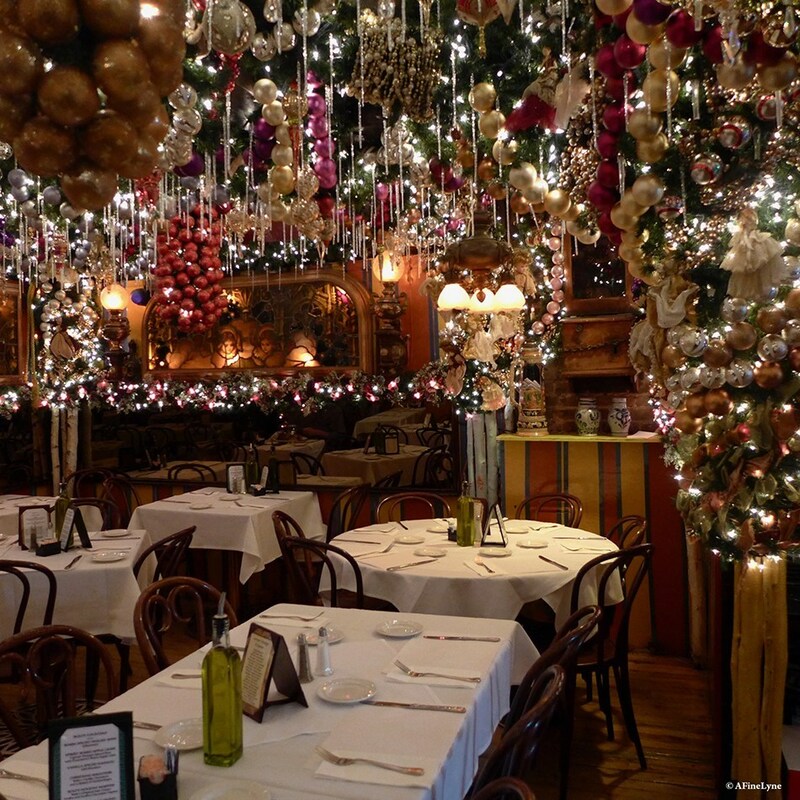 Every December, we kick-off our Holiday Season at one of the most festive restaurants in town ~ Rolf’s German Restaurant in Gramercy Park. 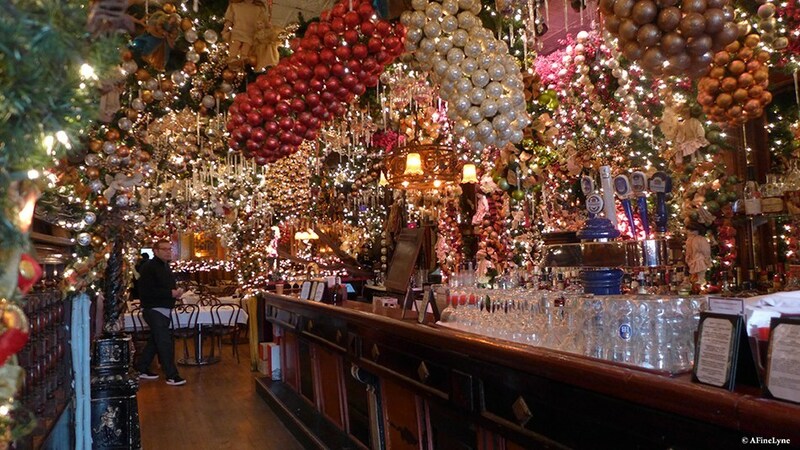 If you’ve never been to The National Arts Club, December is a great month to go. 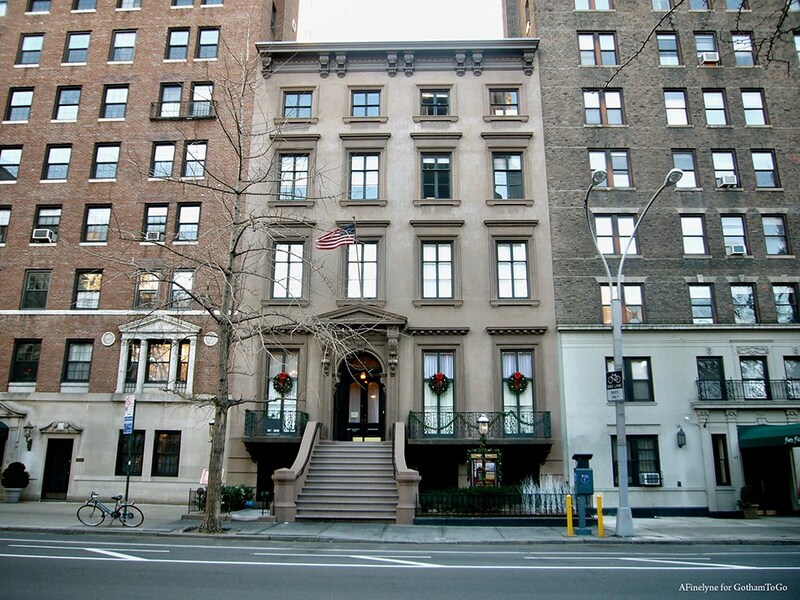 It is located in what was the Samuel Tilden Mansion at 15 Gramercy Park South. 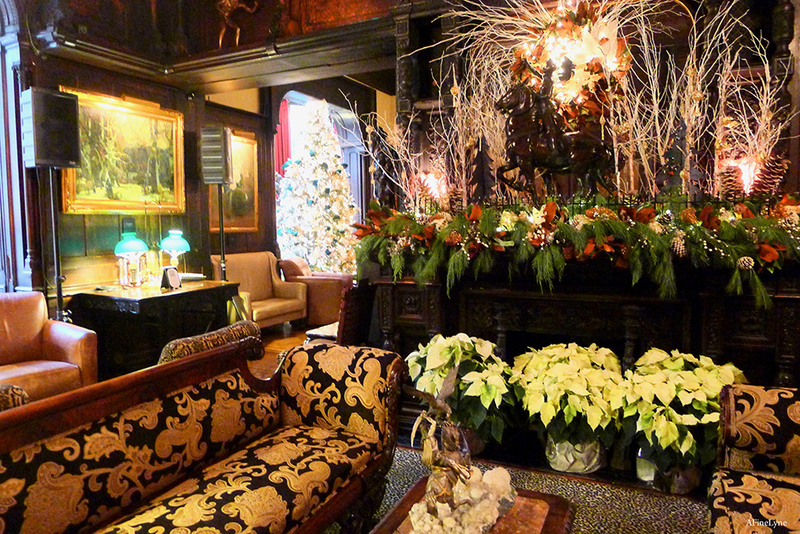 Also of note, Gramercy Park has a long-standing tradition of being open to the public for Caroling each Christmas Eve. 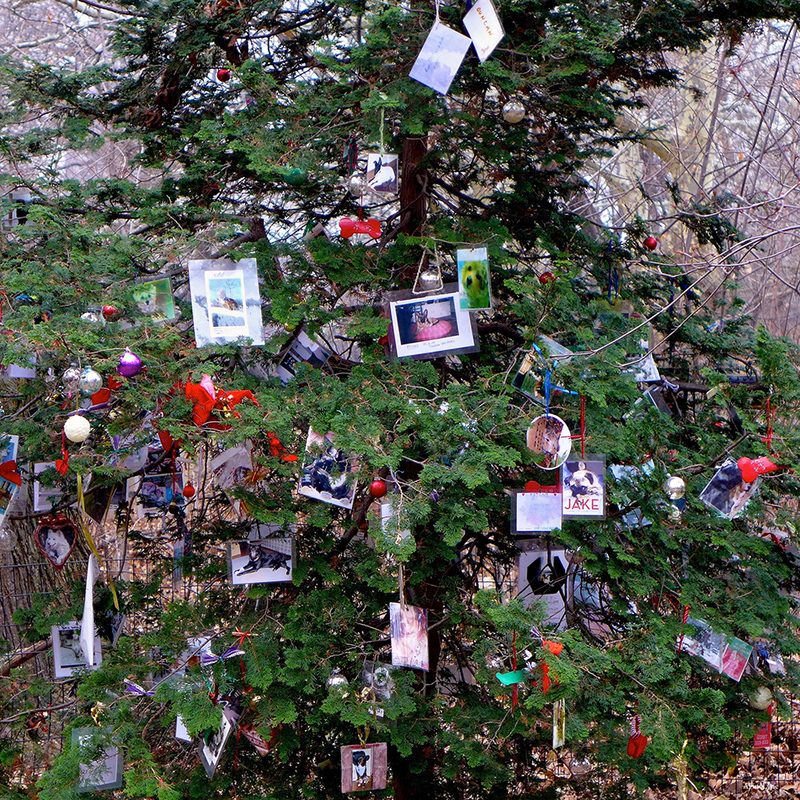 Hidden deep within Central Park in a secluded place, stands a perfectly situated tree, dressed up for the Holiday’s every year ~ the ornaments all dedicated to beloved pets who have passed on, but as we see each year, are never forgotten. Walk with us as we hit the less-traveled paths in search of the Memorial Pet Tree in Central Park from years past. 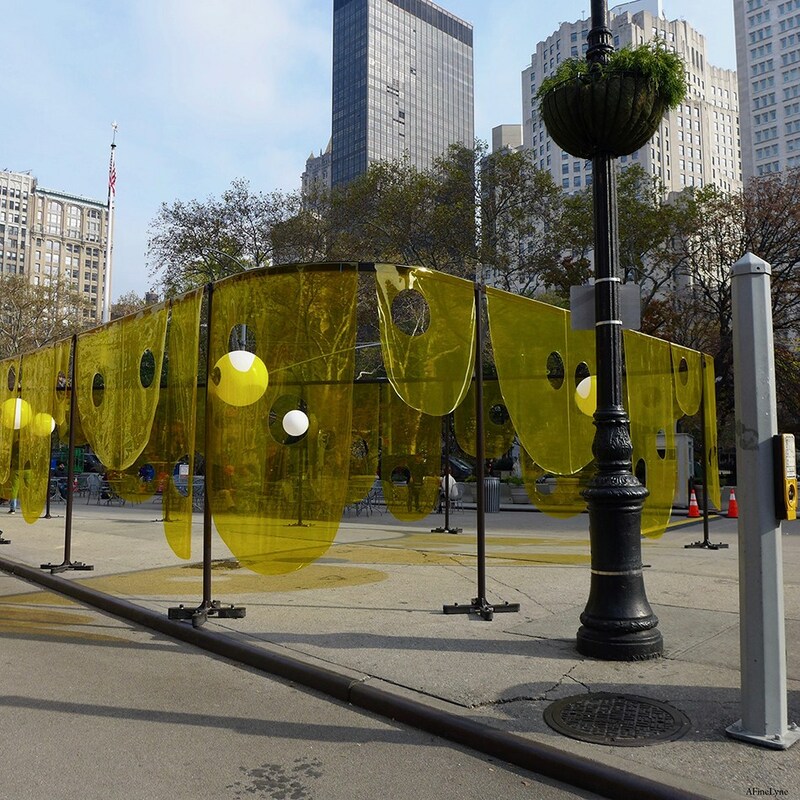 As part of the 23 Days of Flatiron Cheer for December, Flatiron Partnership and Van Alen Institute announced the winner of the 5th Annual Flatiron Public Plaza Holiday Design Competition ~ ‘Happy‘ by Studio Cadena, on view at the Flatiron Plaza along with related Holiday Programming. 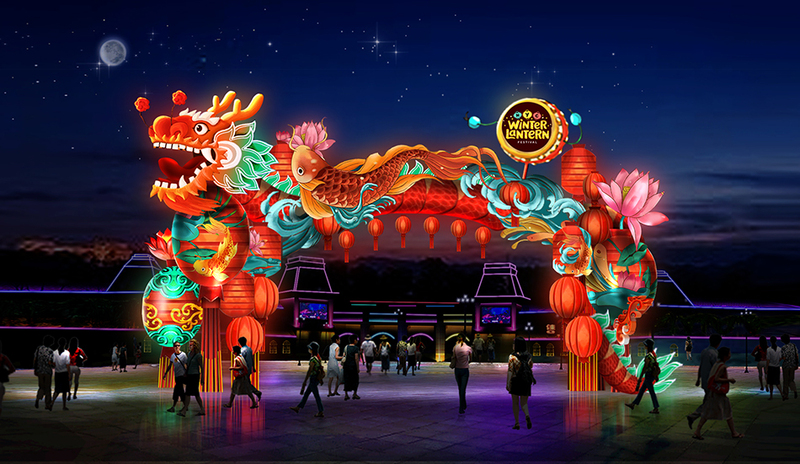 Sure to be a big hit, November 28th will begin the first annual Winter Lantern Festival, seven acres of Snug Harbor Cultural Center and Botanical Garden, illuminated by 40 LED installations that stretch up to 30 feet tall. The Rubin Museum of Art will dedicate its 2019 exhibitions, programs, and experiences to the theme of power, focusing on how visitors can activate the power that exists “within and between us.” Drawing on a diverse range of sources and perspectives, from contemporary art to scientific theories to Buddhist philosophies, the Rubin Museum will explore secular and religious systems of power as well as personal and collective agency. Power: Within and Between Us beginning in January, 2019. The Future is still on view through December 31, 2018. 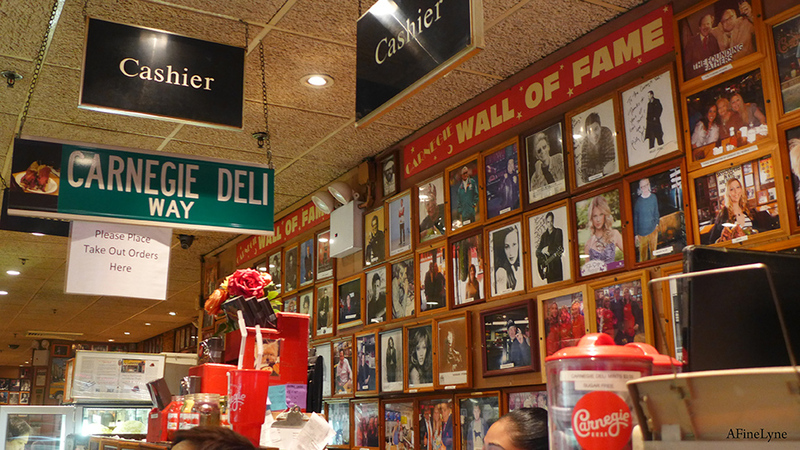 Breaking News ~ Carnegie Deli will reopen as an eight-day popup in Nolita from December 1-8. Lovers of the beloved Jewish Deli can thank Amazon Prime Video for this short window of culinary delight, using the popup to promote the second season of The Marvelous Mrs. Maisel. 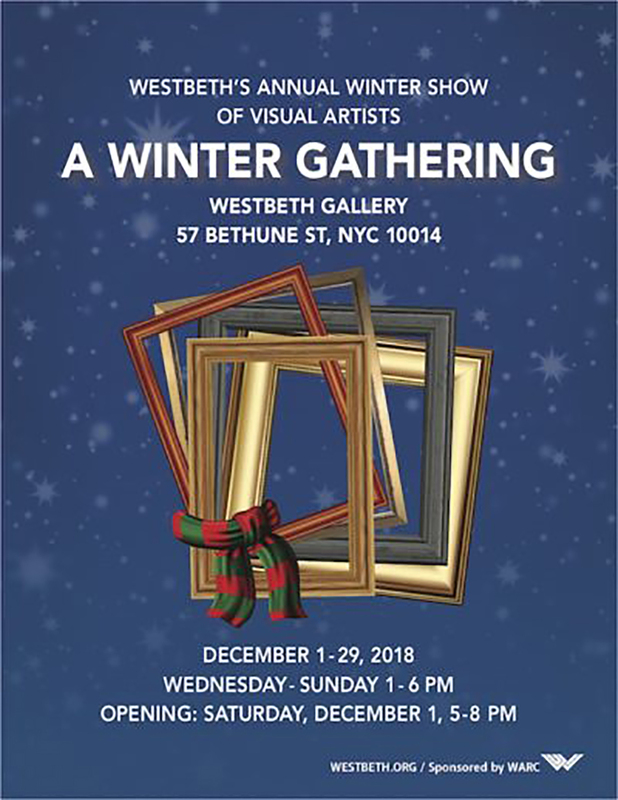 This year’s exhibition, A Winter Gathering, organized and installed by a volunteer team of exhibitors, provides a peek into the varied practices of Westbeth’s visual artists. Visitors will find multiple genres of art including abstract work, various forms of representation, collage, assemblage, photography, graphics, mixed media, sculpture, and installation, reflecting diverse perspectives on art making today. A Winter Gathering promises an eclectic mix of styles, themes and approaches in contemporary art. 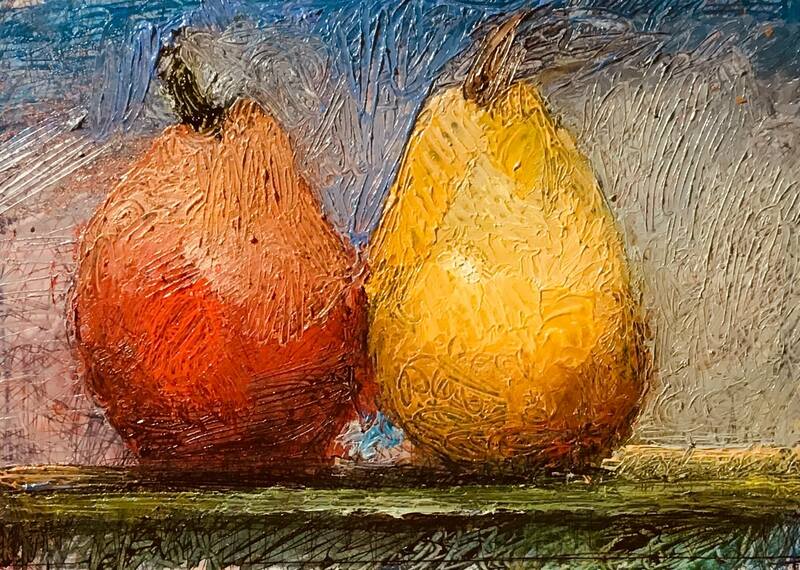 Small works priced to sell, the popular annual Thumb Box Exhibition and Sale will be on view, and for sale in the gallery and online, from December 3, 2018 to January 1, 2019 at The Salmagundi Club in Greenwich Village. 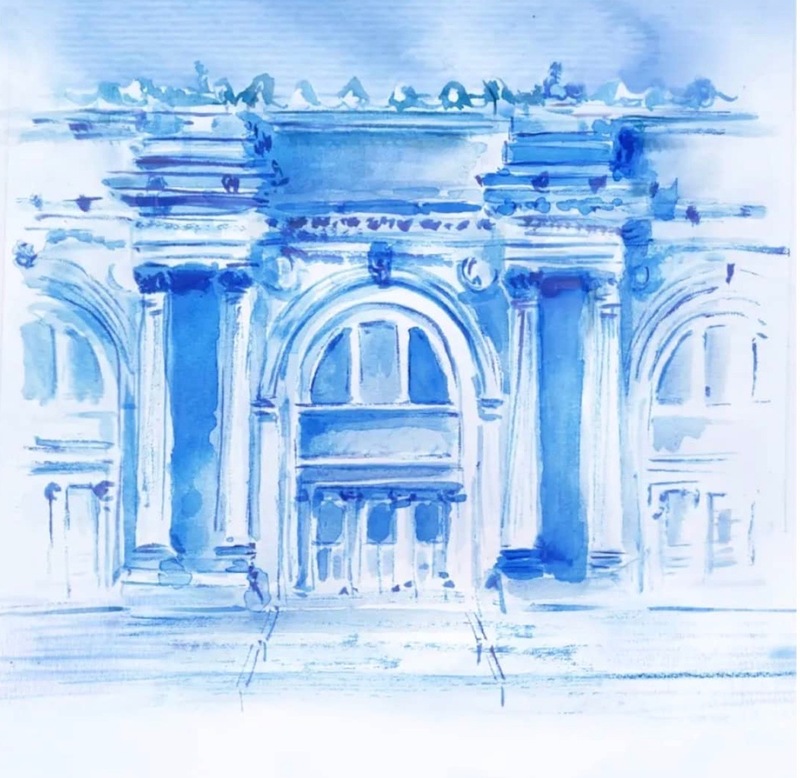 With a deep connection to New York City, The House of Chanel will return to the Metropolitan Museum of Art on December 4th to present Chanel’s Métiers d’Art 2018-2019, when the new collection will be presented. If you love it, here’s your Santa Con 2018 info. If you don’t, here’s the day to lay-low. 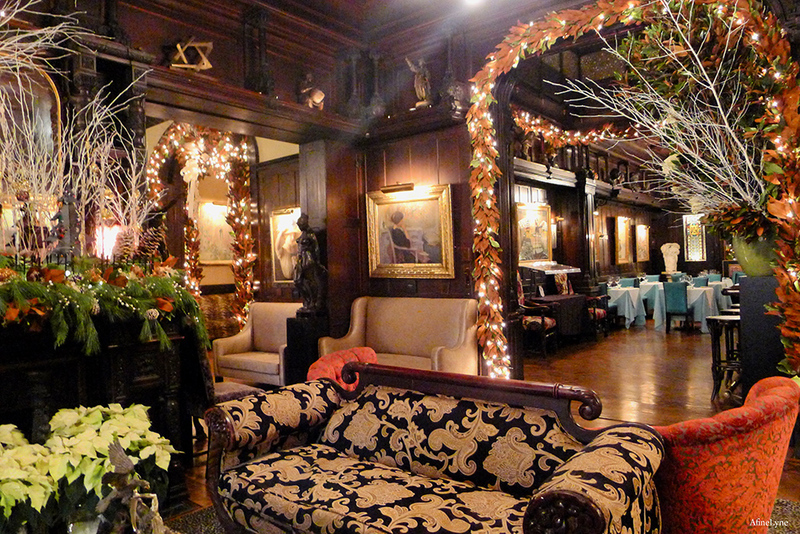 The Salmagundi Club of New York will once again offer an opportunity to explore the landmarked building and view its historic art collection with a VIP Tour on Sunday, December 9th at 3:00pm. 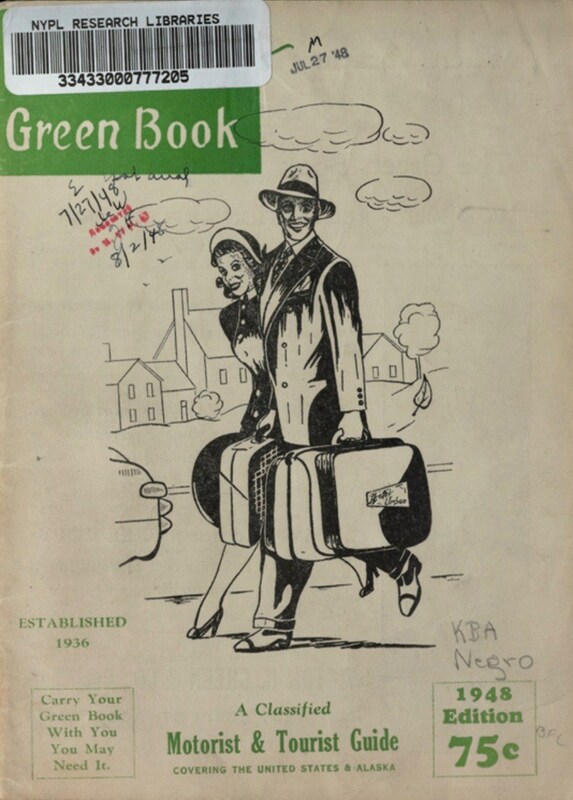 While The Green Book has been very much in the news this year, with The Museum of Arts & Design’s exhibition by artist Derrick Adams entitled Sanctuary and Unpacking the Green Book: Travel and Segregation in Jim Crow America, along with the about-to-be released movie, Green Book, The Schomburg Center for Research in Black Culture houses the full digital collection of Green Books and other similar guides. 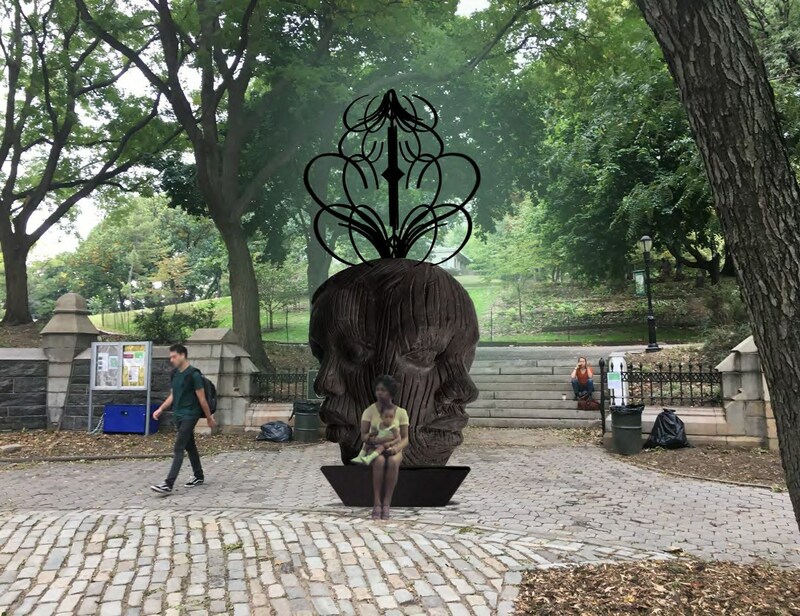 Public Art Fund unveiled its third Summer 2018 installation this week in City Hall Park. 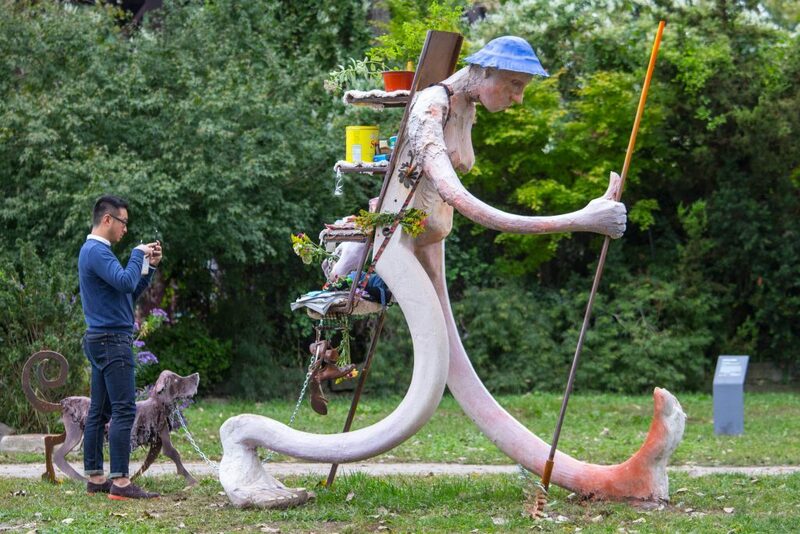 The installations, entitled Kitchen Trees are the creation of the artist B. Wurtz. 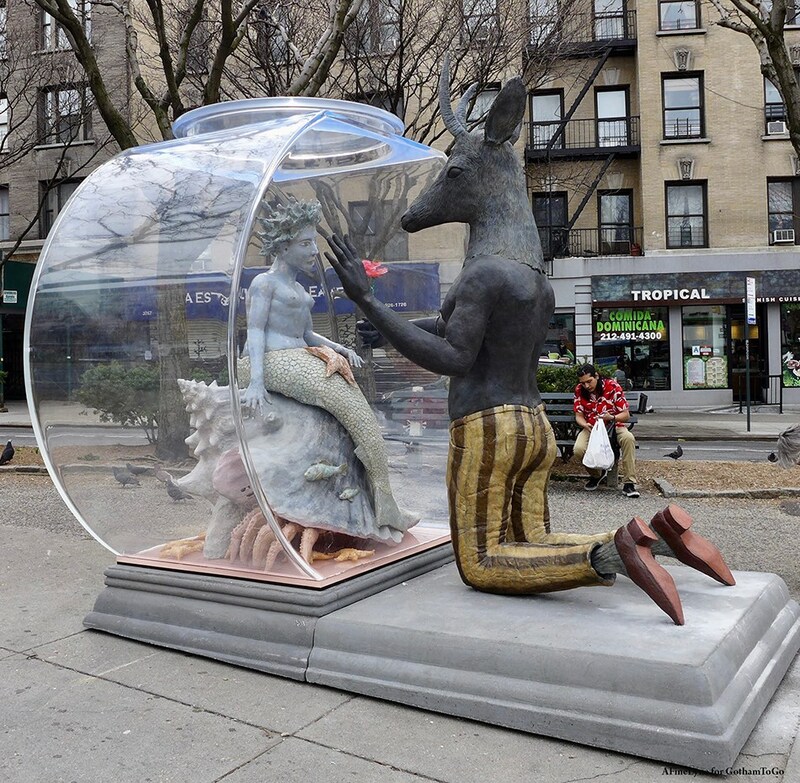 The Garment District Alliance ushers in its Winter art installation with a parade of nine-foot-tall ‘Candy’ sculptures. 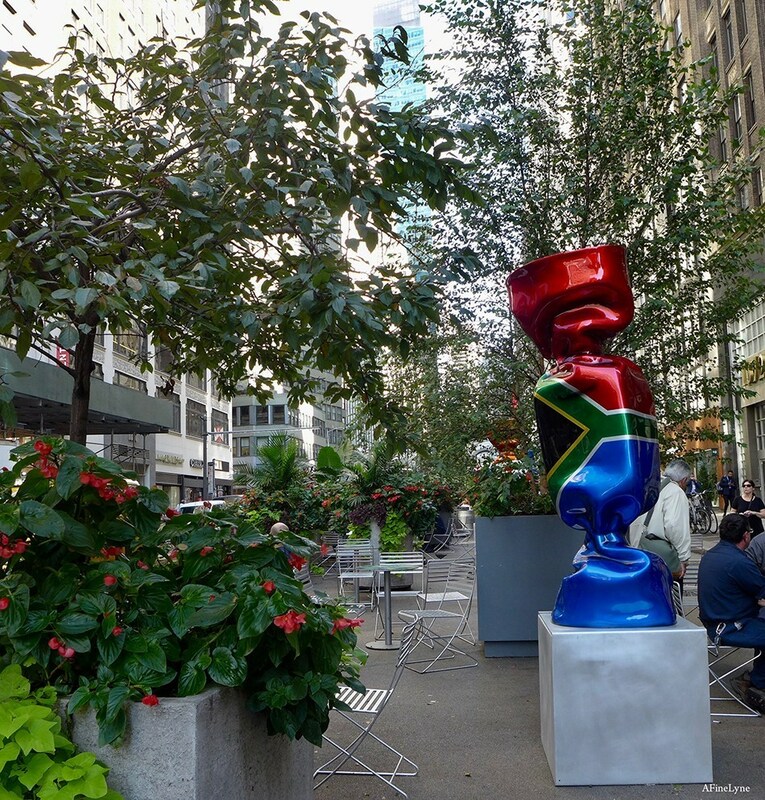 The exhibit, Candy Nations, will honor New York City’s status as a global capital, and will include twenty colorful candy-shaped sculptures that will extend along the Broadway pedestrian plaza between 36th Street and 39th Street. 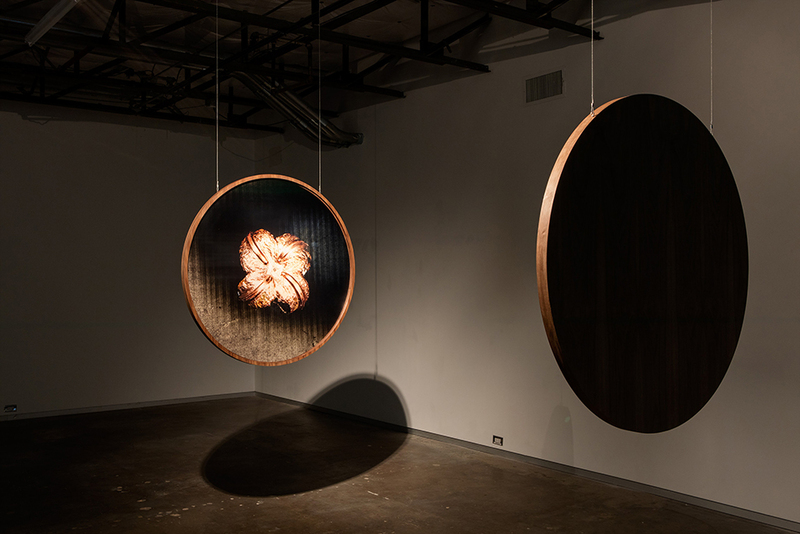 In her second exhibition with Fridman Gallery, Aura Satzfocuses on voices of female electronic music pioneers, and on sound signals as symbols of communication and disobedience. Included are a series of drawings, two sound sculptures, and a 16mm film. Inaugurating their collaboration as co-representatives of The Estate of Diane Arbus, David Zwirner and Fraenkel Gallery are pleased to announce the first complete presentation of Diane Arbus’s Untitled series. 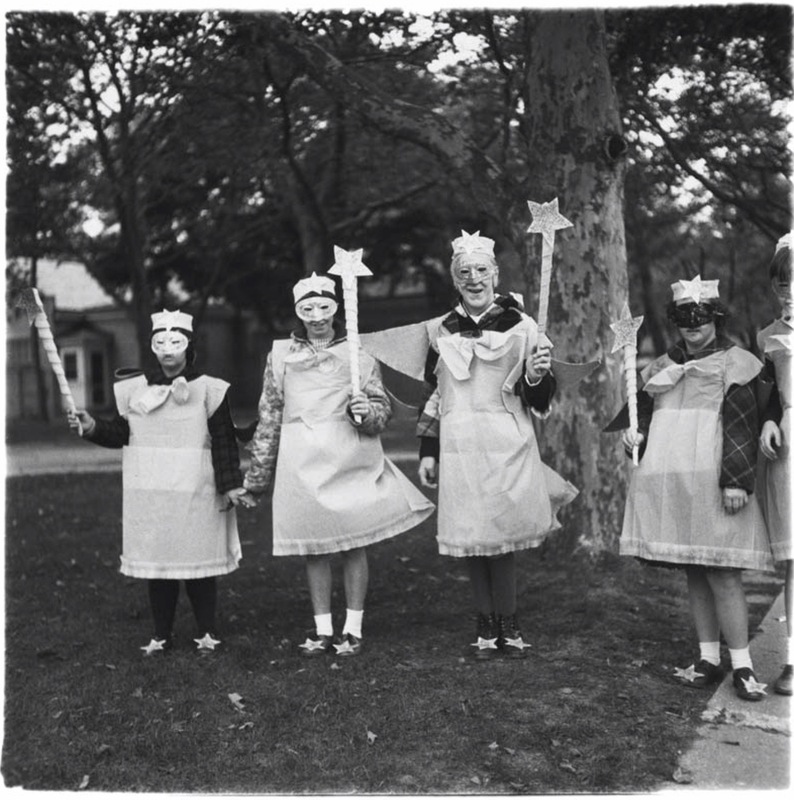 The sixty-six images were made at residences for people with developmental disabilities, places Arbus repeatedly returned to for picnics, for dances, and at Halloween between 1969 and 1971, the last years of her life. 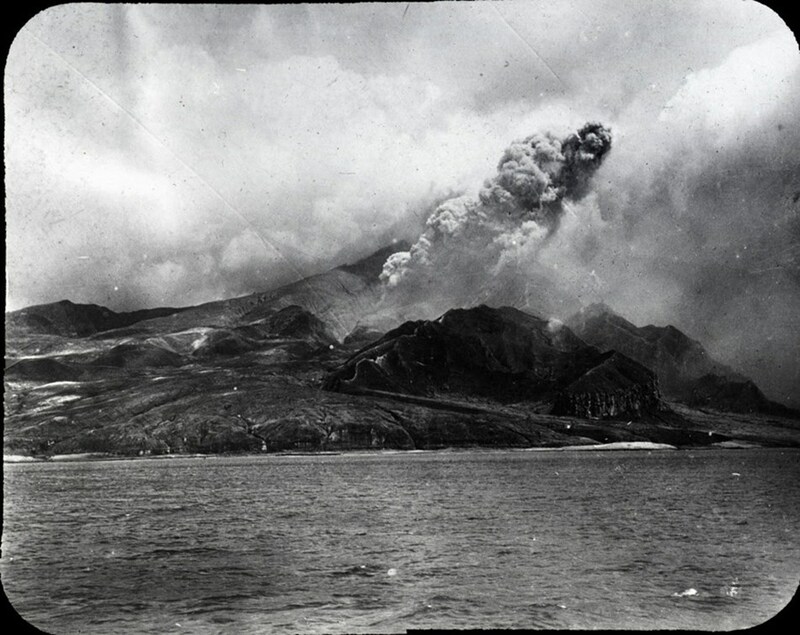 The presentation will include several images that have never before been exhibited. Garth Greenan Gallery opens its doors to an in-depth look at the work of artist Al Loving from 1977 to 1993 in the exhibition, Al Loving: Space, Time, Light. These years were a period of immense transformation and experimentation for the artist, following his solo show at the Whitney Museum in 1969, and his early critical and commercial success. 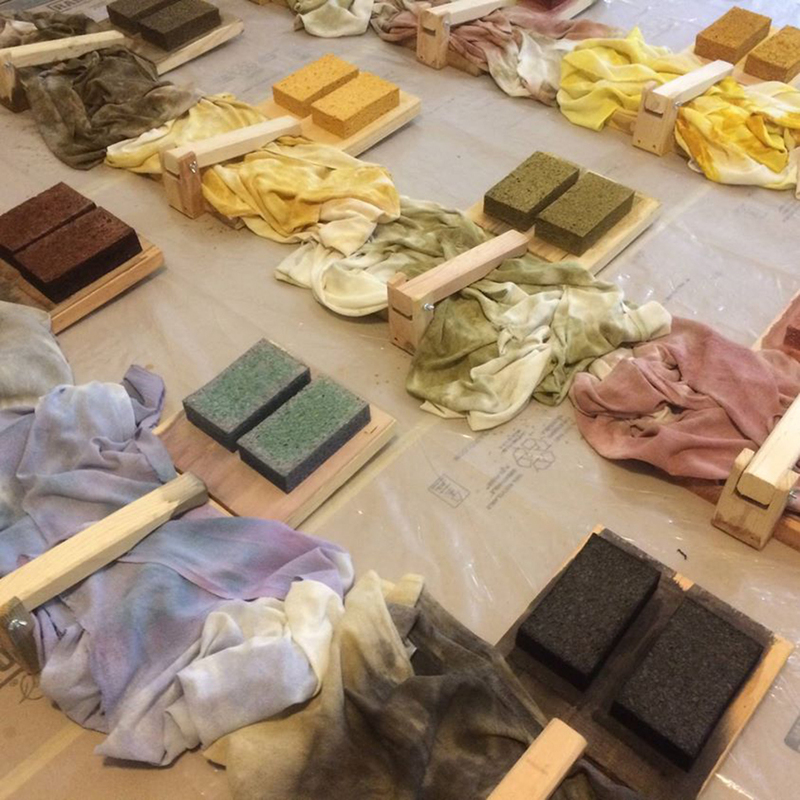 nternational Print Center New York (IPCNY) has opened its doors to the exhibition, Edge of Visibility, curated in conjunction with the September-October issue of the scholarly journal Art in Print by its editor-in-chief, Susan Tallman. The issue focuses on artworks that are purposely and strategically hard to see. ‘Gutai‘, an exhibition exploring the legacy of one of Japan’s most innovative and influential avant-garde collectives of the twentieth century will be on view at Hauser & Wirth to December 22, 2018. 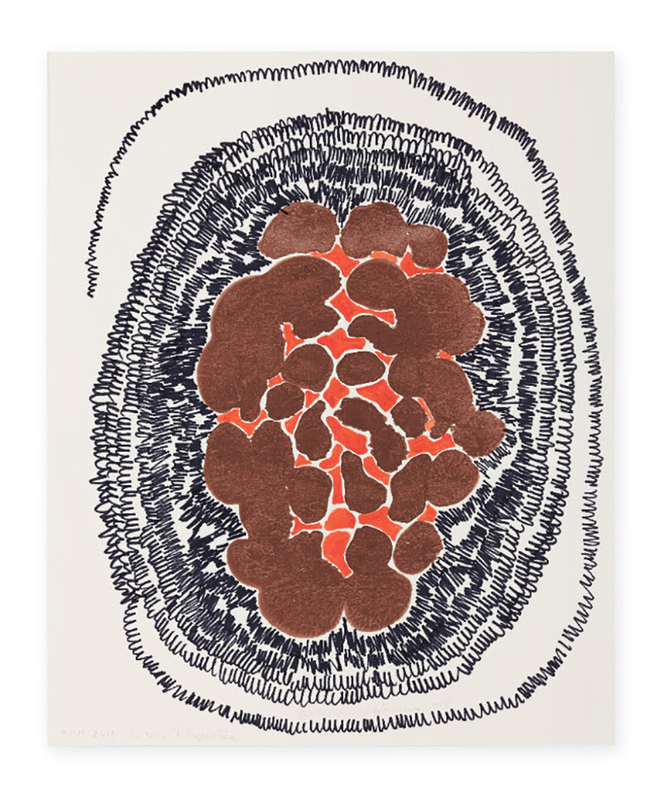 Cheim & Read is pleased to present Louise Bourgeois: Spiral, the gallery’s ninth solo exhibition devoted to the artist’s work. 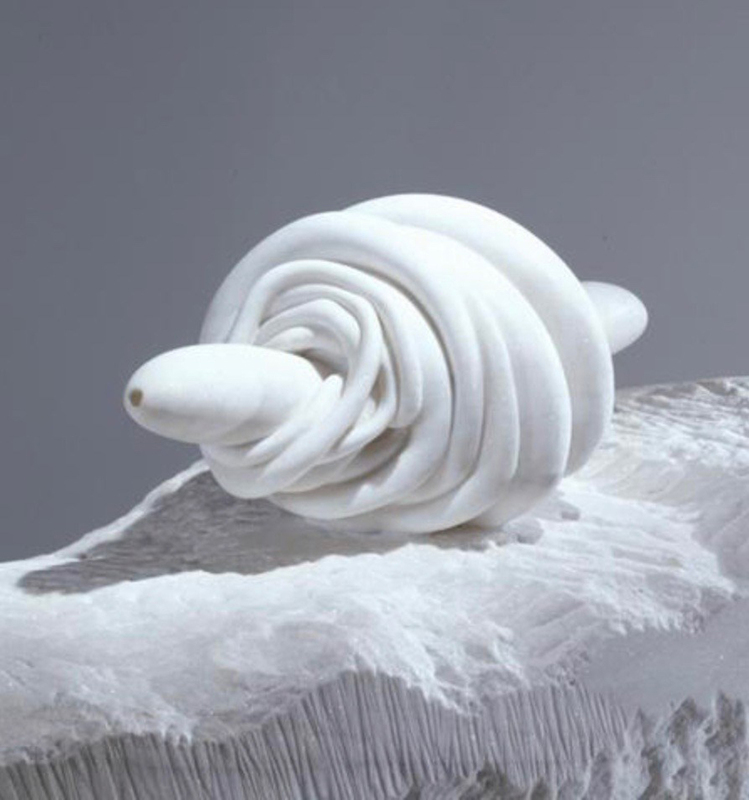 The show will explore the range of Bourgeois’ spiral motifs as expressed in sculpture, painting, and drawing, from the early 1950s through 2010, the year of her death. It also will include a series of spiral word drawings made on blue paper in 1986. This will be the final exhibition in the gallery’s current Chelsea location. 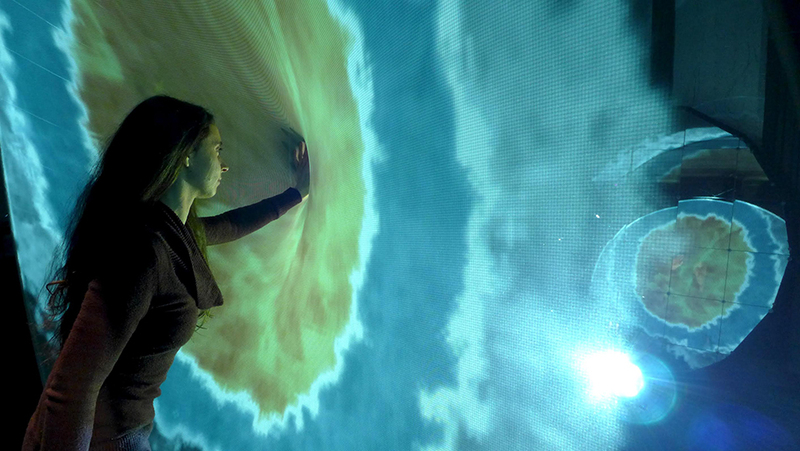 From February 23 to December 31, 2018, viewers will be invited to step into a world where past, present, and future exist all at once ~ The Future: A Year-Long Exploration at The Rubin Museum. 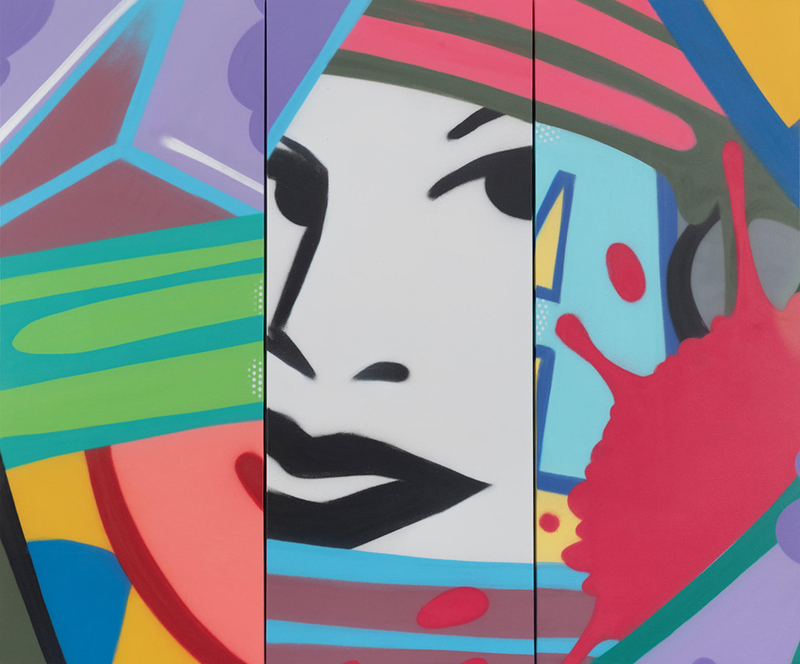 Throughout his almost four decade career, John ‘CRASH‘ Matos’ work has engaged with urban environments on a huge scale – ranging from his early murals on the sides of NYC subway trains in the 70’s, to more recent projects such as a large mural commission at Miami’s Hard Rock Football Stadium. 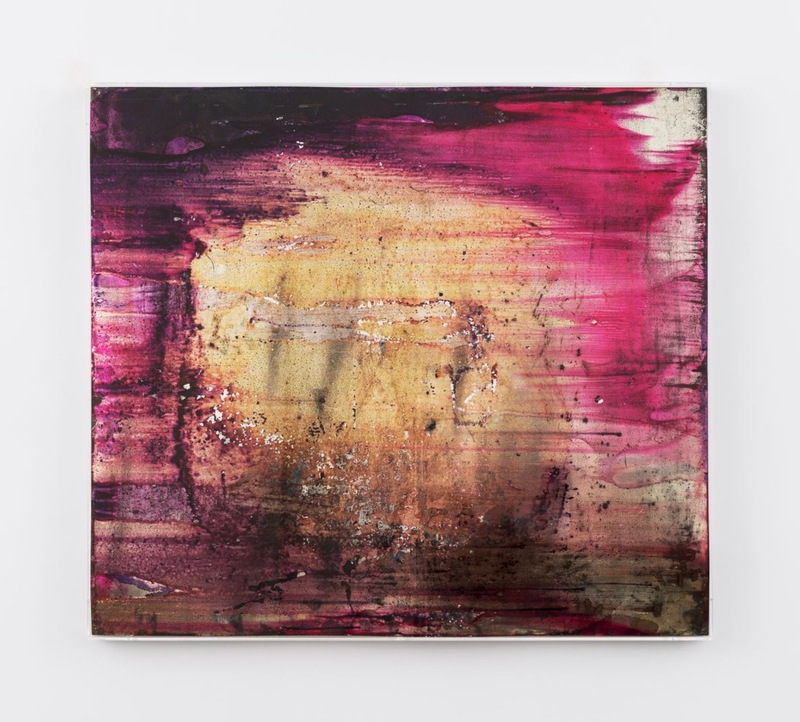 This November, a new body of work will be on view, continuing the conversation around the scope, scale, and environment, through a continued exploration of the spray paint medium, in the exhibition Concrete Jungle at JoAnne Artman Gallery. 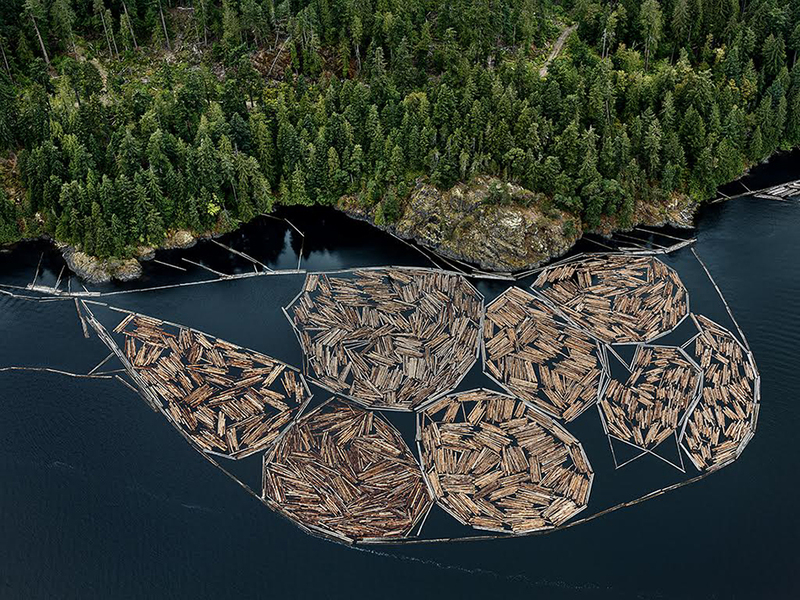 A two-gallery exhibitions of landmark work from photographer Edward Burtynsky’s series Anthropocene, which maps the unprecedented impact of human intervention on Earth, will be on view at Howard Greenberg Gallery and Bryce Wolkowitz Gallery this November in New York. The color work of street photographer Vivian Maier will be the subject of a new exhibition at Howard Greenberg Gallery. 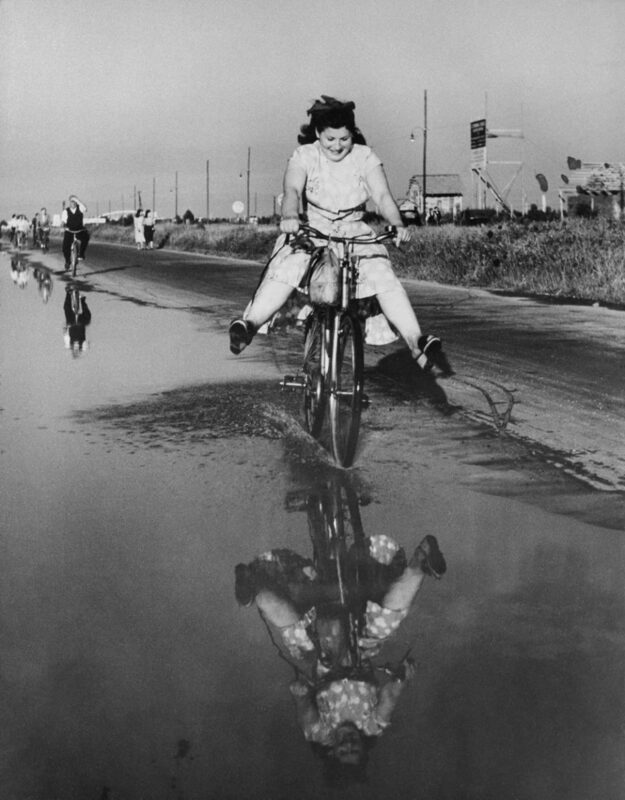 Many of the photographs are on view for the first time, deepening the understanding of Maier’s oeuvre and her keenest to record and present her interpretation of the world around her. 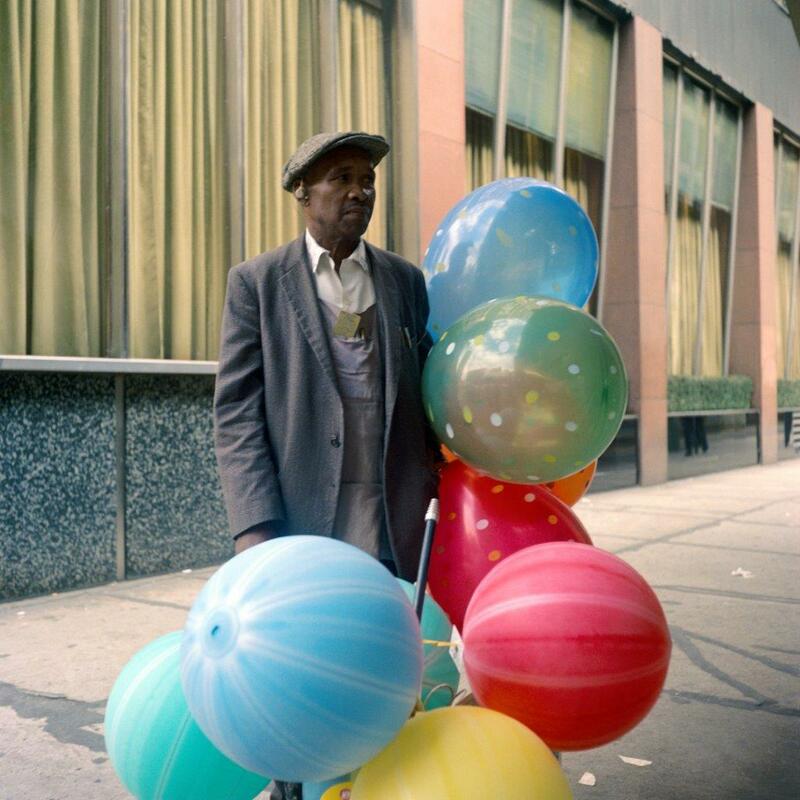 Dating from the 1950s to the 1980s, Vivian Maier: The Color Work captures the street life of Chicago and New York, and includes a number of her enigmatic self-portraits. Conspiracy! Fake News! In the exhibition, Everything is Connected: Art and Conspiracy, MET Breuer reaches back in time and traces the simultaneous development of two kinds of art about conspiracy. Works based on historical research, and investigative reporting and ‘plunging down the rabbit hole’ works where facts and fantasy freely intermingle – a state of being that is all too familiar these days. 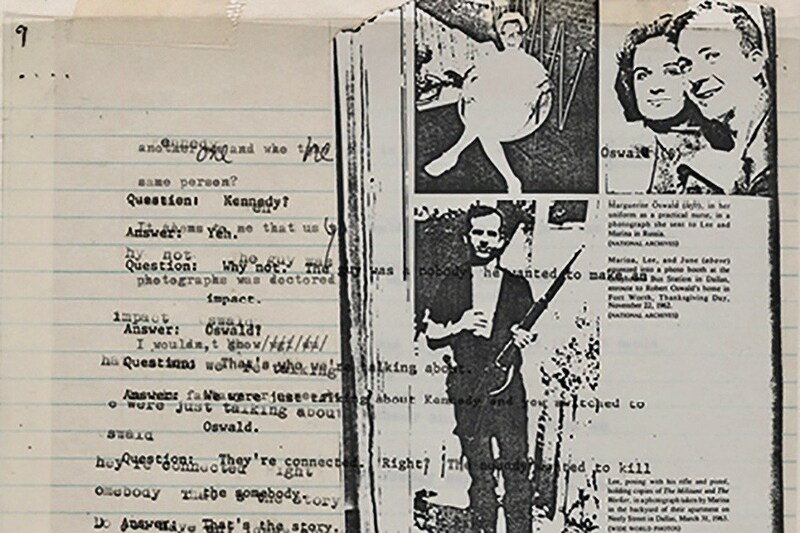 The exhibition Everything is Connected: Art and Conspiracy is the first major exhibit to tackle this perennially provocative topic. 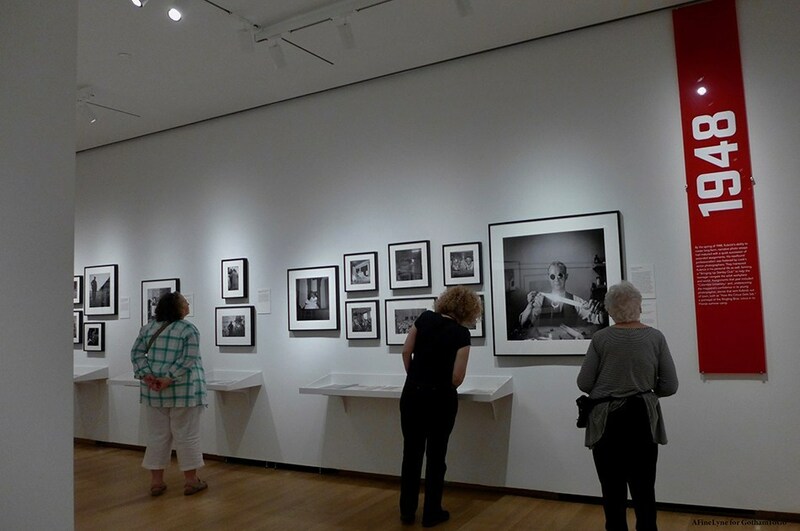 The exhibition, Through a Different Lens: Stanley Kubrick Photographs, opened at The Museum of the City of New York, featuring more than 120 photographs by Stanley Kubrick from the Museum’s Look Magazine archive. 103 x 163 x 78 1/2 inches (261.6 x 414 x 199.4 cm). © 2018 Calder Foundation, New York / Artists Rights Society (ARS), New York. Photo: Ken Adlard © 2018 Calder Foundation, New York. 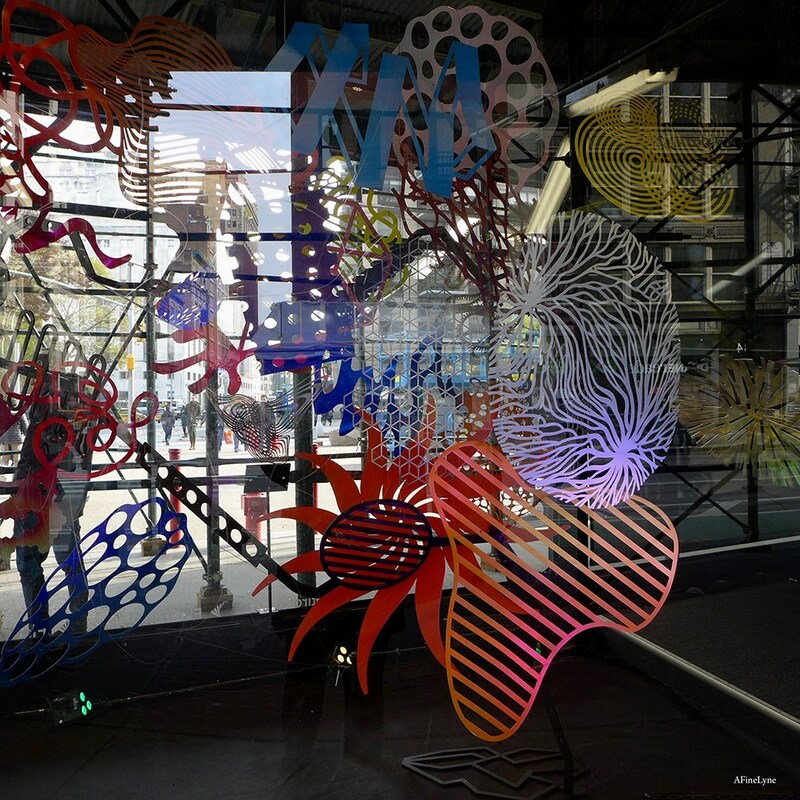 Courtesy Calder Foundation, New York. 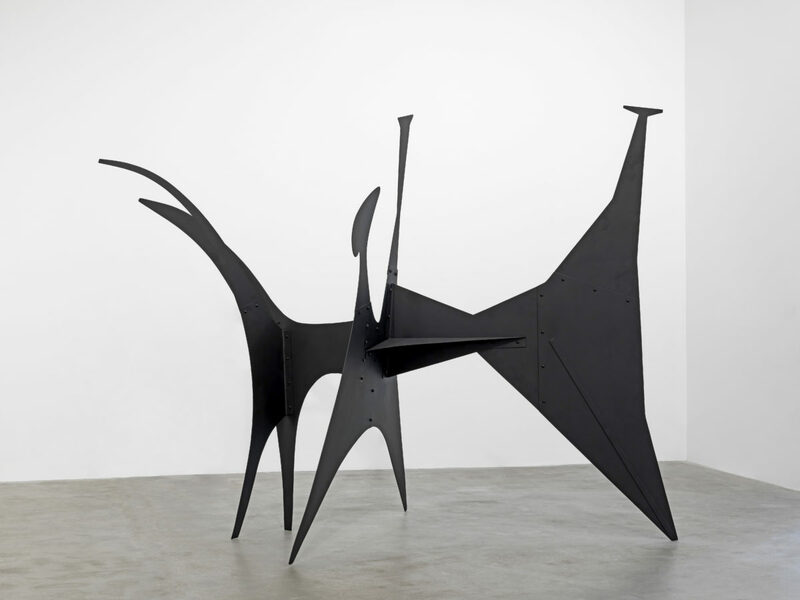 The exhibition, Calder / Kelly, will cover three full floors of the gallery, showing nearly three-dozen paintings and sculptures made over the course of five decades. Lévy Gorvy is located at 909 Madison Avenue at 73rd Street, NYC. Storefront for Art and Architecture opened its doors to the exhibition, Subculture: Microbial Metrics and the Multi-Species City by Kevin Slavin, Elizabeth Hénaff, and The Living / David Benjamin in collaboration with Evan Eisman Company. Charlotte Perriand is one of the most famous designers of the twentieth-century. Her pioneering furniture and interiors helped shape the modernist movement. Venus Over Manhattan, in collaboration with Laffanour/Galerie Downtown, Paris, is presenting an exhibition dedicated to the designer. 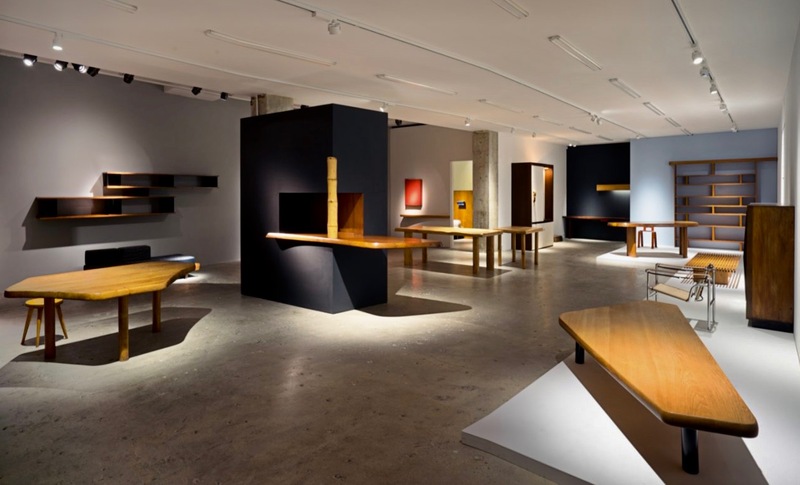 This is the largest exploration of Perriand’s work to be held in New York, comprising of thirty-seven works spanning the breadth of her almost eight-decade career. Enchanting model trains zip through a display of more than 175 New York landmarks, each re-created with bark, leaves, and other natural materials—all under the twinkling glow of the Enid A. Haupt Conservatory. 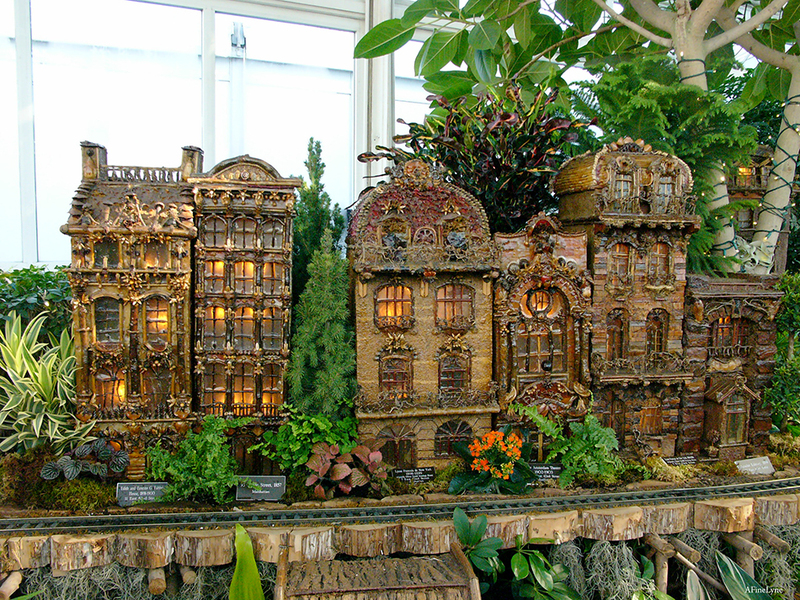 The Holiday Train Show will be on view from November 17, 2018 to January 21, 2019 at the New York Botanical Garden, with many related events. Tickets on sale now. Keith de Lellis Gallery presents a solo exhibition of 1930s industrial photographs by Harold Haliday Costain, one of the leading American modernist photographers of his generation. 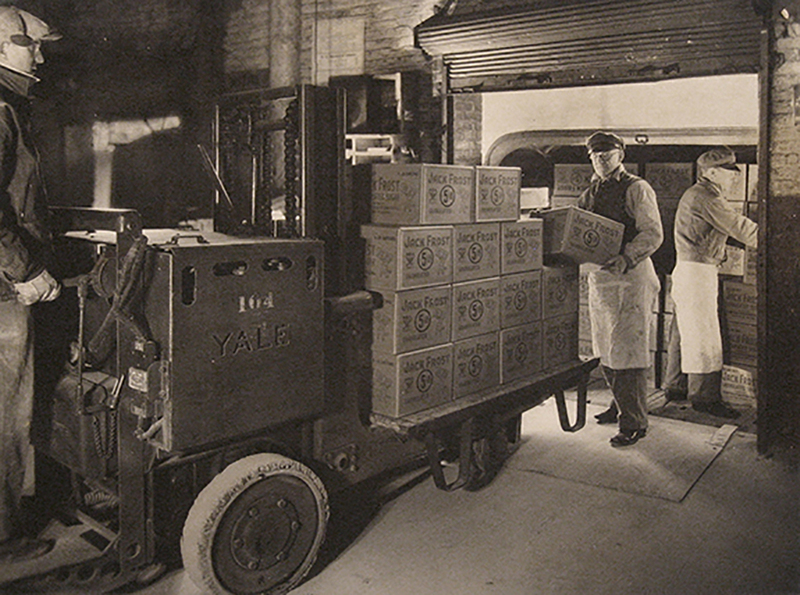 Sugar & Salt, Vintage Industrial Photographs by Harold Haliday Costain will open November 29, 2018. With over 150 artworks in the exhibition, Soul of a Nation: Art in the Age of Black Power shines light on a broad spectrum of Black artistic practice from 1963 to 1983, one of the most politically, socially, and aesthetically revolutionary periods in American history. 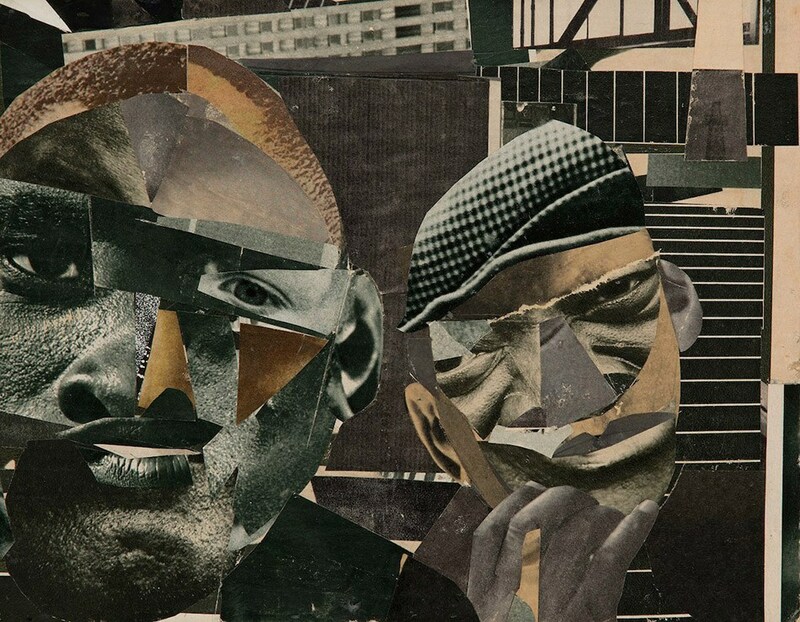 Soul of a Nationwill be on view to February 3, 2019. The exhibit divides an enormous space of 16,000 square feet into separate rooms and tunnels, curated by Darren Romanelli, a leader in experiential art and a specialist in re-appropriating classic brands. Disney and Romanelli confirm that this exhibit is the biggest Disney experience to come to New York City in several decades. 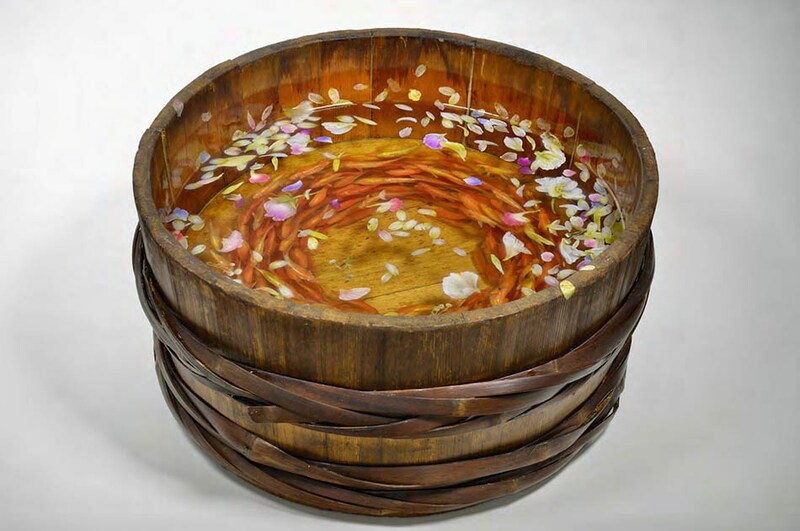 A dozen art artists from around the country are contributing to the exhibition. 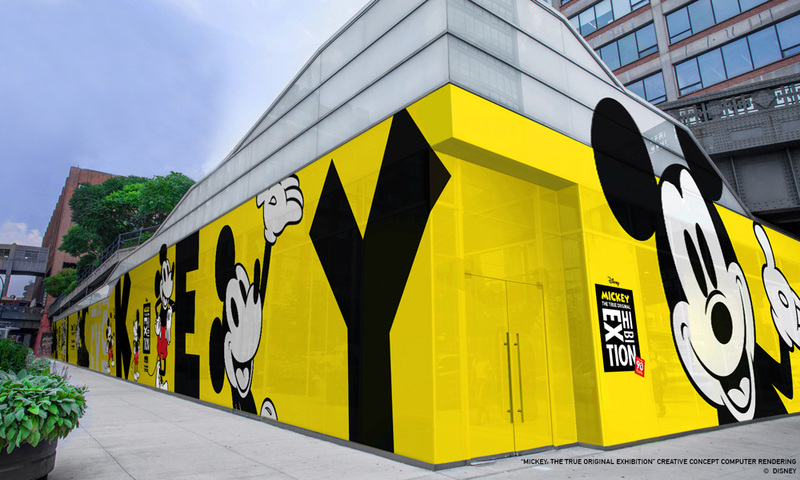 Mickey: The True Original will be on view from November 8 through February 10 at 60 Tenth Avenue, NYC. 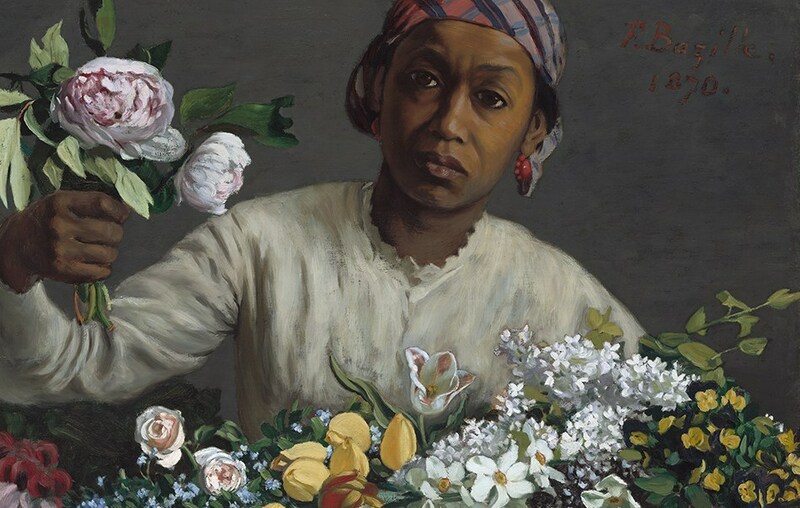 The Wallach Art Gallery at Columbia University and the Musée d’Orsay partner to present an exhibition entitled Posing Modernity: The Black Model from Manet and Matisse to Today in New York and Le Modèle noir, de Géricault à Matisse in Paris. 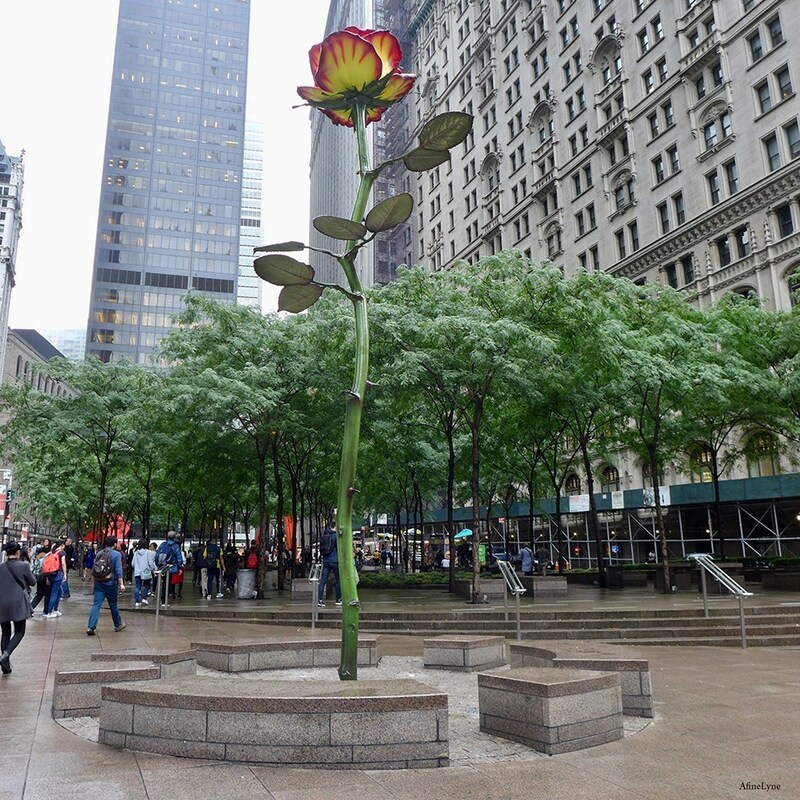 The Broadway Mall Association presented the art installation for Spring/Winter 2018 ~ Kathy Ruttenberg on Broadway: in dreamsawake. 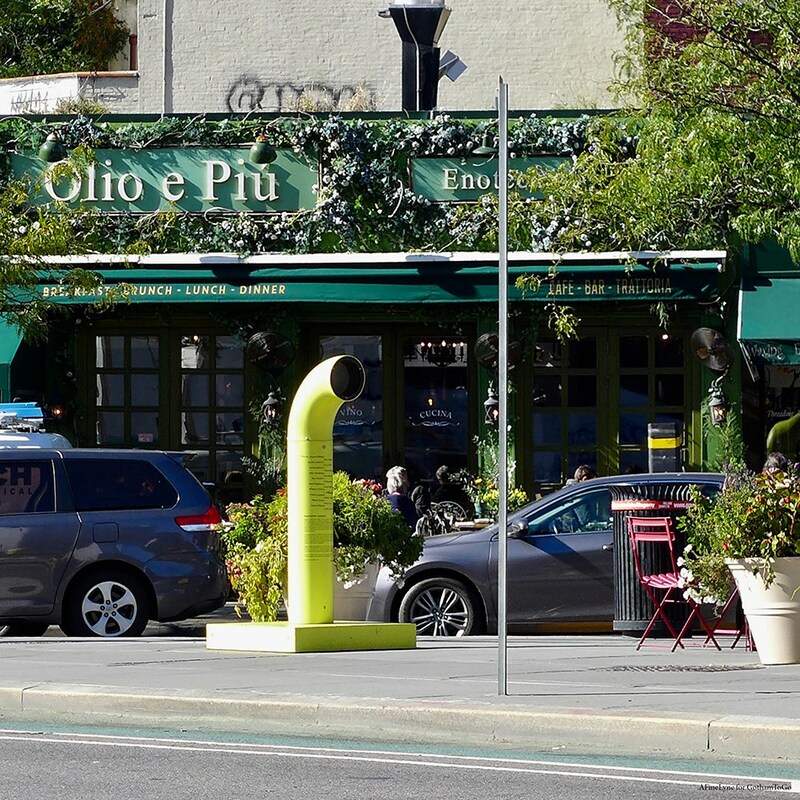 Artist, Kathy Ruttenberg created six site-specific sculptures that run along the Broadway Mall from 64th Street to 157th Street that continue to draw crowds each day. 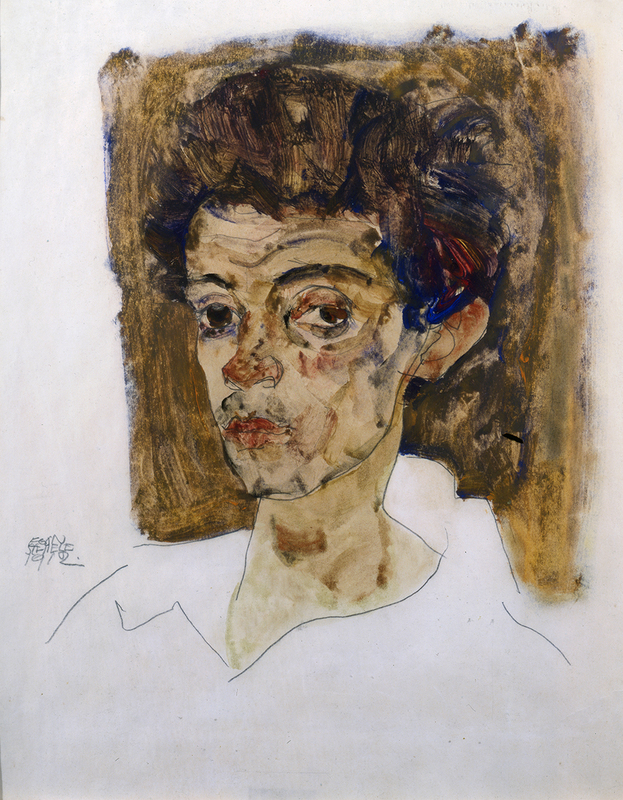 The exhibition Egon Schiele: In Search of the Perfect Line will mark the 100th anniversary of Schiele’s death in 1918 with nearly 50 watercolors and drawings, including several iconic self-portraits, at Galerie St. Etienne. 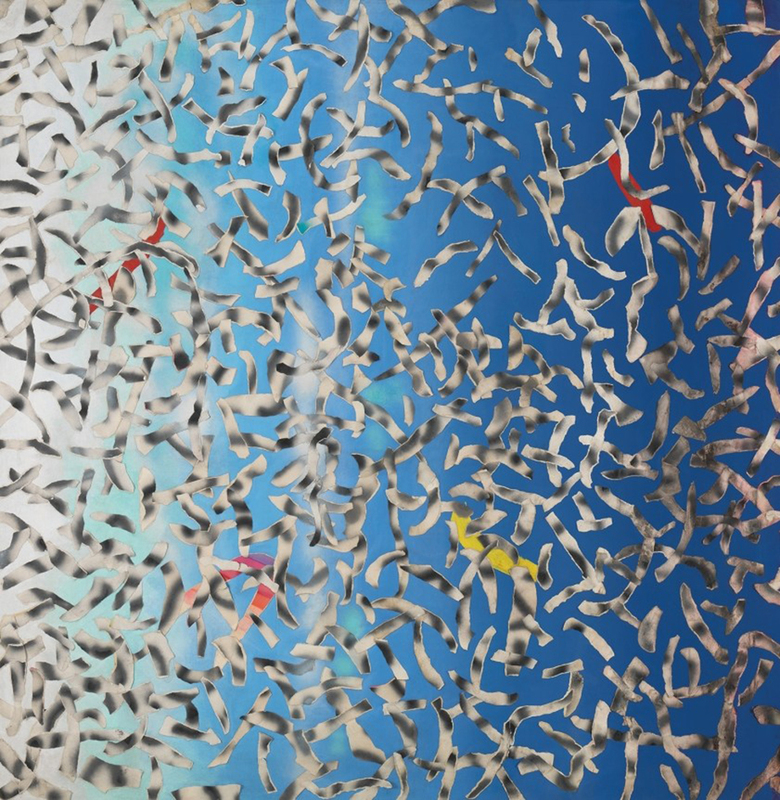 Hunter East Harlem Gallery is pleased to present the exhibition, Dust Specks on the Sea: Contemporary Sculpture from the French Caribbean & Haitiopening on November 7, 2018. Dust Specks on the Seafocuses on sculptural works by over twenty contemporary artists from Guadeloupe, Martinique, French Guyana, and Haiti and addresses the various positionings of the postcolonial condition in this region. 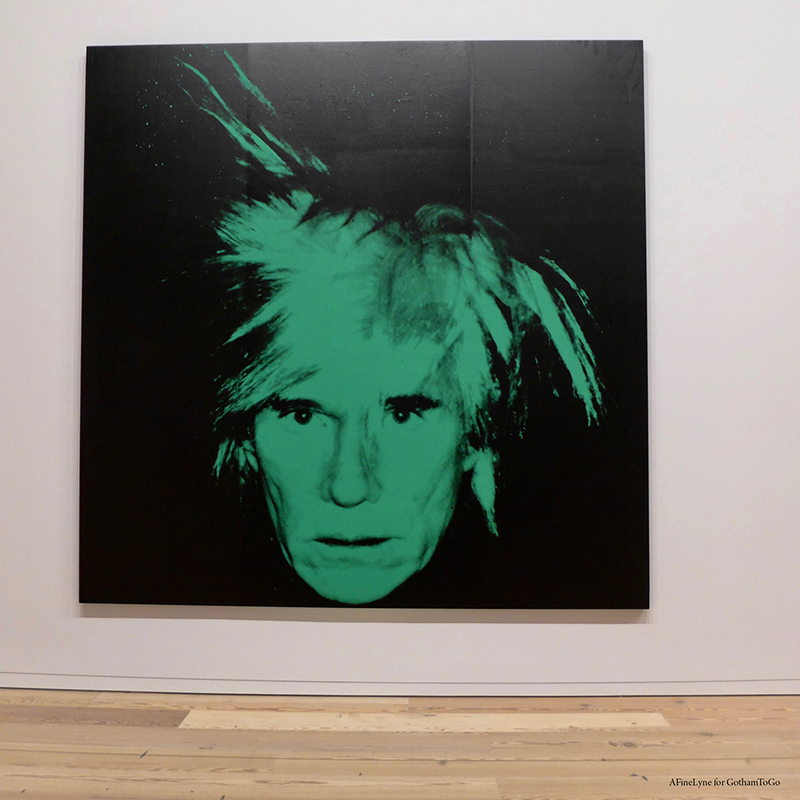 The exhibition Andy Warhol ~ From A to B and Back Again at The Whitney Museum of American Art is the first Warhol retrospective organized by a U.S. institution since 1989. On view are more than 350 works of art, many assembled together for the first time. Below are just a few of the images in this exhibition, along with the story behind them. Plan on spending the day. 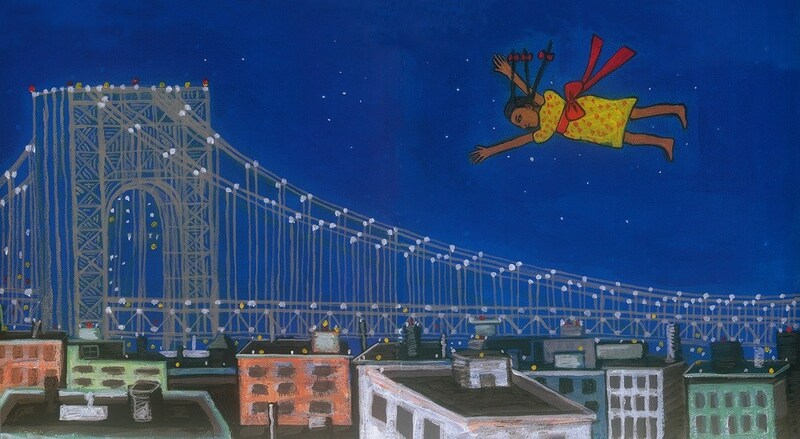 Sugar Hill Songbook: Select Work by Faith Ringgold features a collection of works on paper, soft sculptures, quilts, and illustrations inspired by the rich cultural and political heritage of the artist’s home of Sugar Hill. 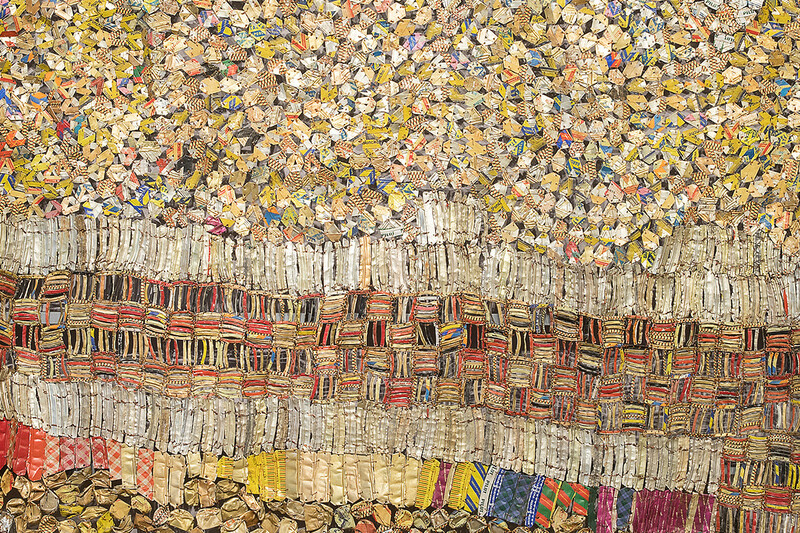 More than 50 works of craft, art, design and jewelry acquired for Museum of Arts and Design’s permanent collection over the past five years, including works by artists Derrick Adams, El Anatsui (above), David Bielander, Sanford Biggers, Wendell Castle, Judy Chicago, and more. 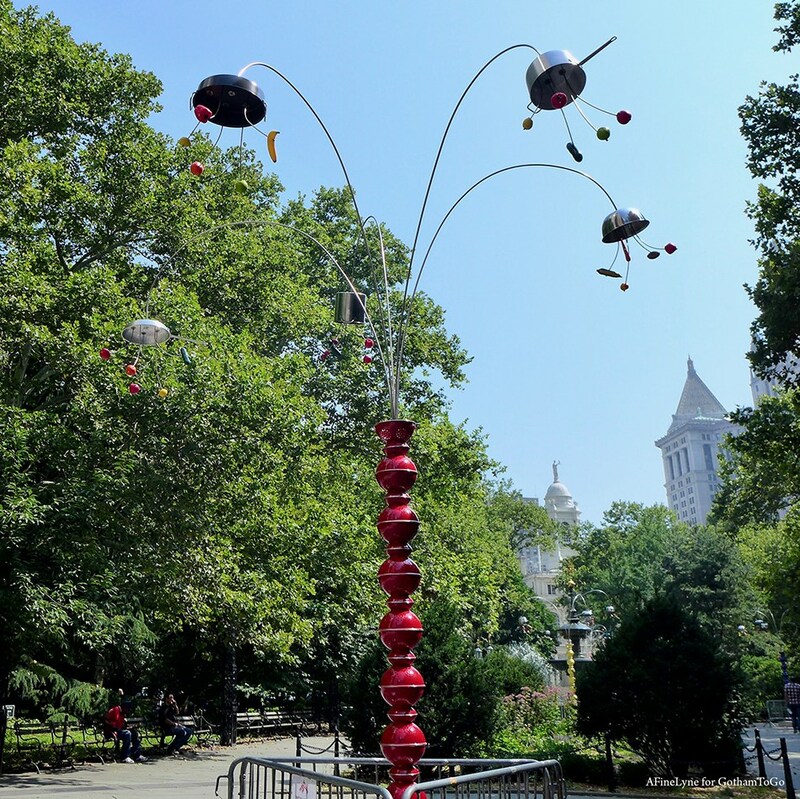 Madison Square Park will be kicking off its Fall season with the new art installation entitled Full Steam Ahead by artist Arlene Shechet. 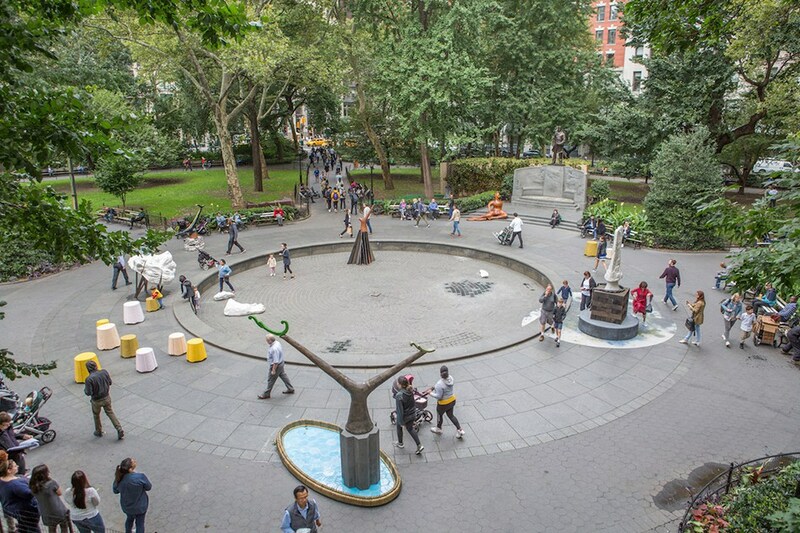 This installation consists of a series of sculptures in porcelain, wood, and cast iron installed around and within the emptied circular reflecting pool in the north end of Madison Square Park. 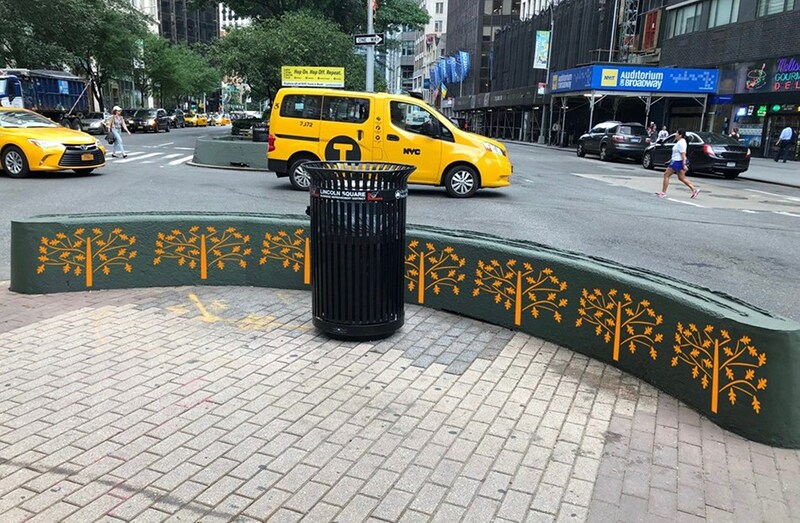 The Design Trust for Public Space and Staten Island Arts announce the Future Culture 2018 Public Art Program Winners ~ Sonic Gates + Court Yard Fridays ~ a series of eight public artworks, which will be installed in July, consisting of eight sound sculptures, one murals, and four world music concerts, created by, and featuring Staten Island-based artists and community members. 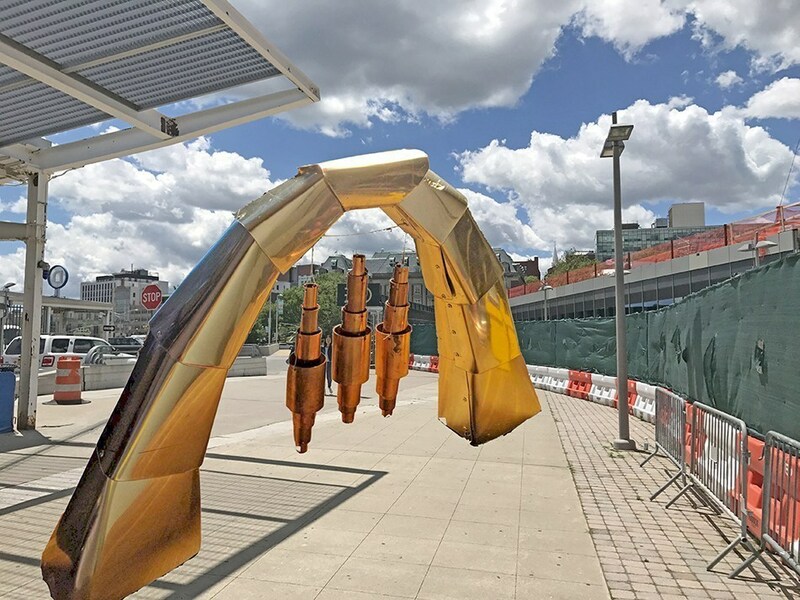 June 16th brought inHarlem back to Marcus Garvey Park, with the eight site-specific installations Maren Hassinger: Monuments. 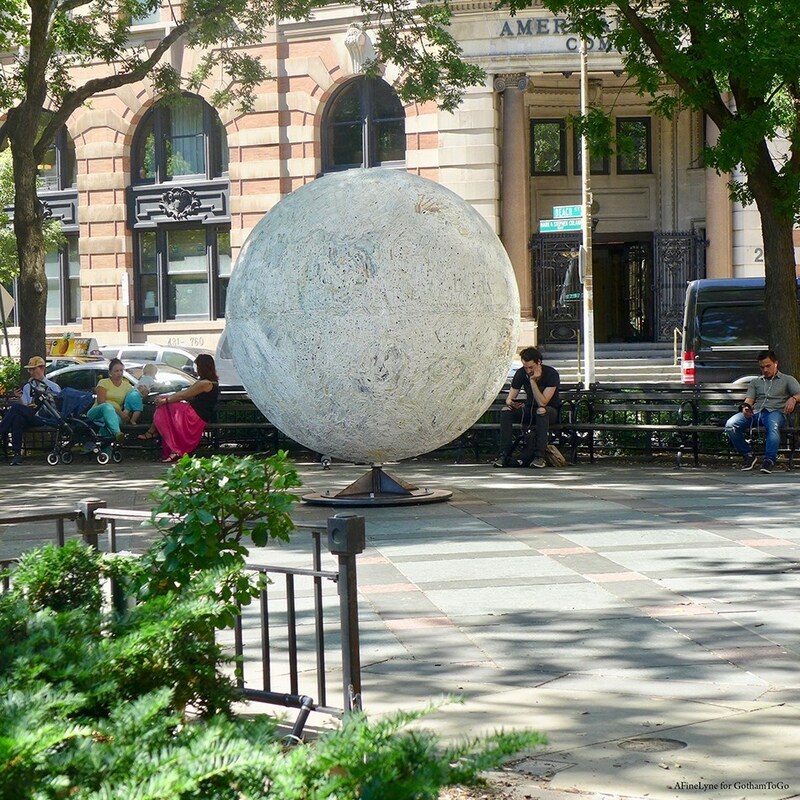 Take a walk with us, beginning on 124th Street at the Fifth Avenue entrance. 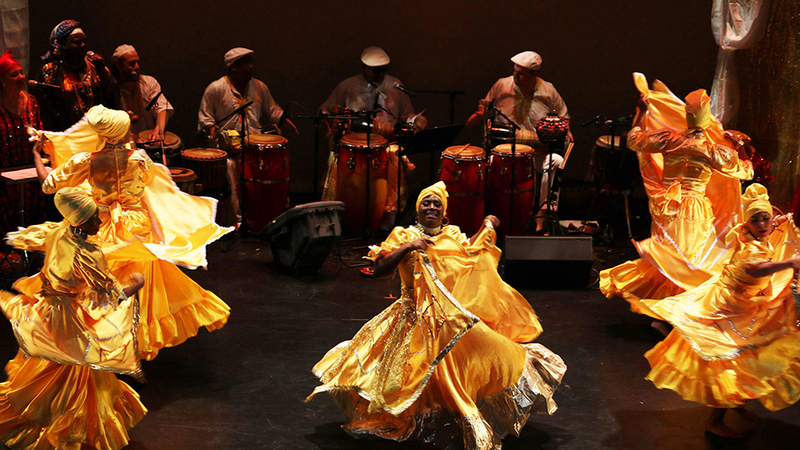 Caribbean Cultural Center African Diaspora Institute (CCCADI), located in a historic firehouse on East 125th Street in El Barrio, will open its doors to the exhibition, Race, Myth, Art, and Justice, exploring intersecting ideas through the lens and unique interpretation of twelve inter-generational photographers. As part of the Art in the Parks: UNIQLO Park Expressions Grant, the installation Karla & James Murray: Mom-and-Pops of the L.E.S. 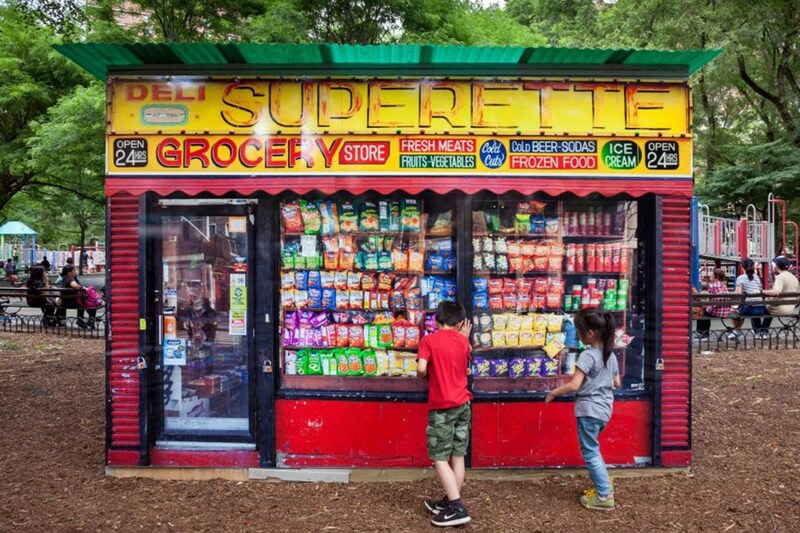 displays wood-framed sculptures of near life-size photographs of four mom-and-pop neighborhood stores of the Lower East Side, no longer in business. Tanda Francis’ work examines the African presence in public space as a powerful force of beauty and cultural relevance. Inspired by African sculptural tradition, including Ife portraiture, Francis also incorporates Victorian and colonial ornamentation into her work. Adorn Me will address the underrepresentation of this demographic in public artworks, and provide a healing message during a time of heated debate over monuments erected as symbols of oppression and control. 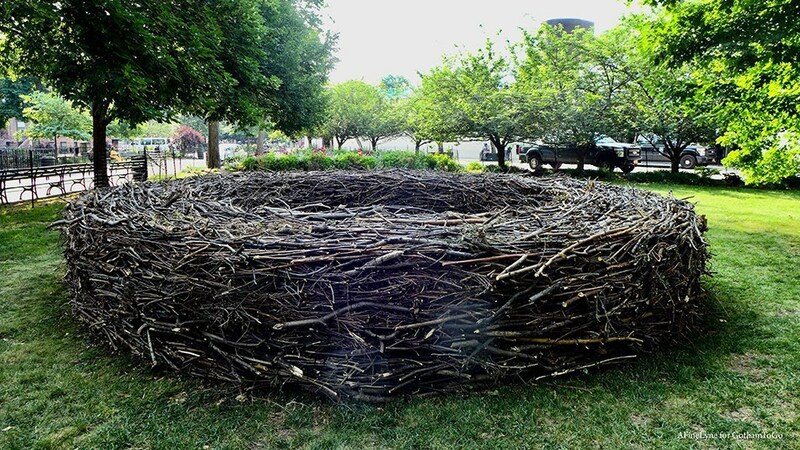 The artist Rebecca Manson invites viewers to “Come Closer and the View Gets Wilder” with her art installation in Tribeca Park. 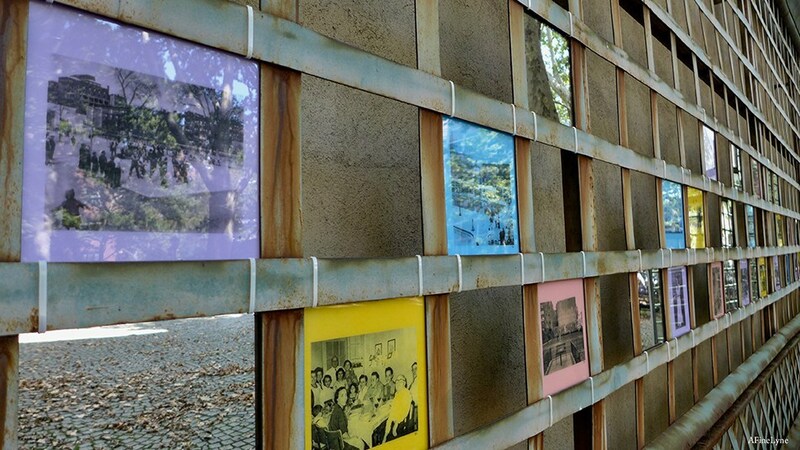 The Marcus Garvey Park Alliance/Public Art Initiative unveiled the installation Present Histories: An East Harlem Photo Album by artist Kathleen Granados in the Harlem Art Park, East Harlem. This is an ongoing installation, with the artist continuing to accept images from residents, and adding to a unique collection exploring the history of East Harlem by the people who live there. 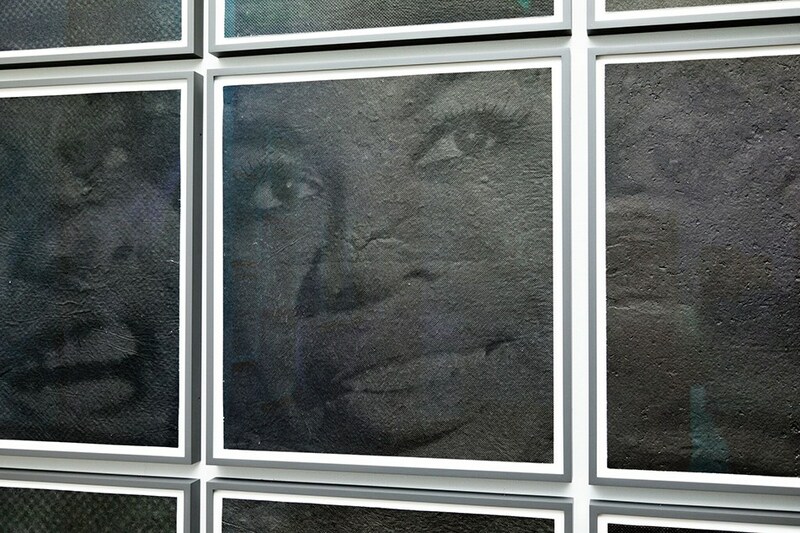 Two artists, José Carlos Casado and Kim Dacres & Daniel A. Matthews, worked with the Public Art Initiative for the past year, bringing their ideas to life in the site-specific sculptures inspired by women of color. We have followed the artist Andre Trenier from the Audubon Mural Project in Hamilton Heights to #100GatesProject in East Harlem. Now, this lifelong Bronx resident presents “Rep Your Flag”—an homage to the immigrant communities that give the Bronx its strength. 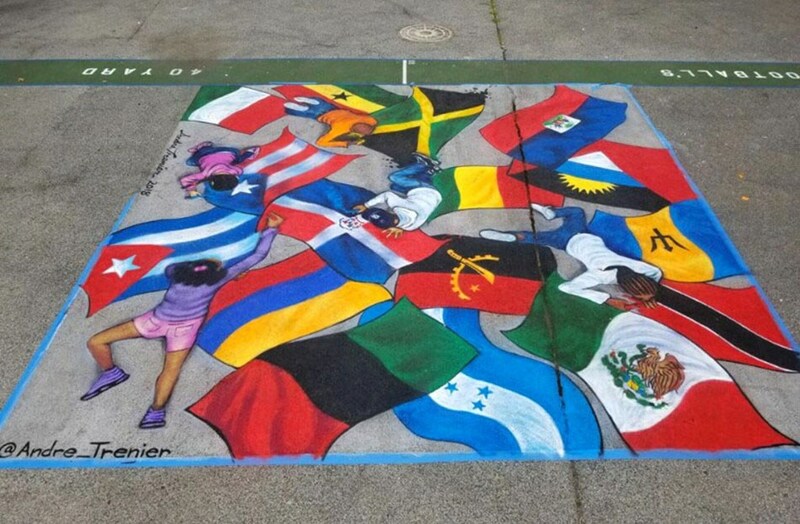 The 16 included flags were determined directly from community feedback: Angola, Antigua and Barbuda, Barbados, Cuba, Dominican Republic, Ecuador, Ghana, Guinea, Haiti, Honduras, Italy, Jamaica, Mexico, Pan-African, Puerto Rico, and Trinidad and Tobago. This exhibition is presented by the ArtBridge. We continue to follow the Downtown ‘Mural Project‘ in and around the 2WTC and 3WTC construction lots, now surrounded by a number of gorgeous new murals. 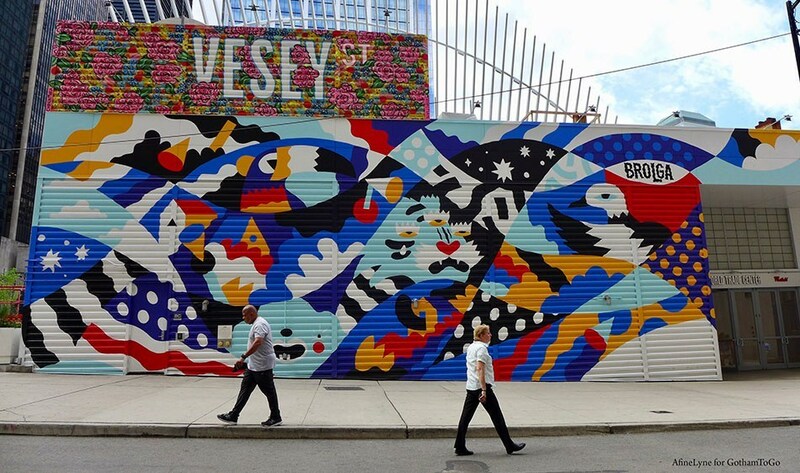 With the Oculus in the background, the large-scale mural project takes viewers from Vesey and Greenwich Streets, down Church and Dey Streets to Cortlandt Street.